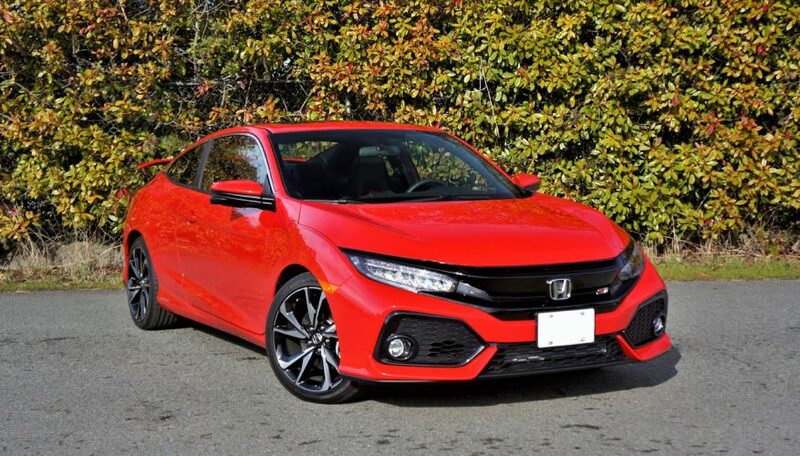 As you may already know, Honda makes three types of Civic these days. 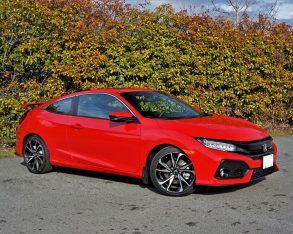 There’s the stalwart but hardly stale Sedan, that’s pretty much the staple of Canadian commuting, the sporty Coupe that’s been with us on and off since 1993, and the recently reincarnated Hatchback, which represents the spiritual return to the model’s 1972 roots. 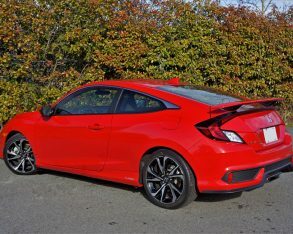 The first Si was based on the now very collectable two-seat 1985 CRX, but just a year later a third-generation two-door Civic Hatchback became the first-gen Civic Si. 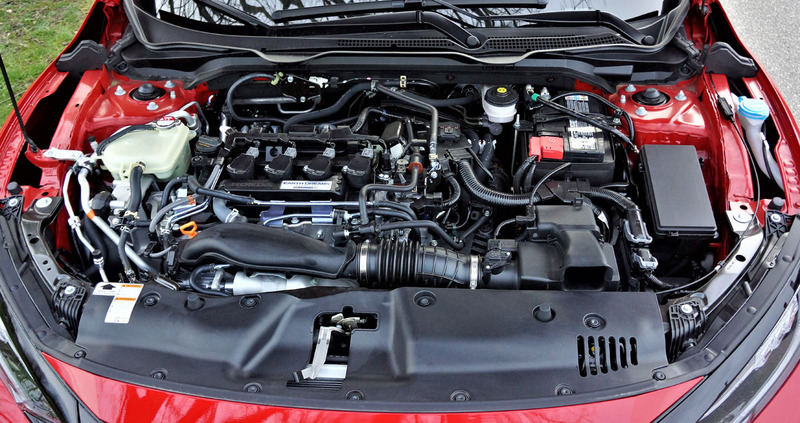 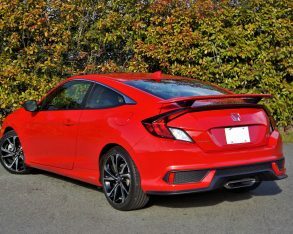 The 91 horsepower sport compact quickly earned a devoted following thanks to quick acceleration, a superb five-speed manual gearbox, and excellent handling, all mixed with loads of passenger, cargo and economical practicality. 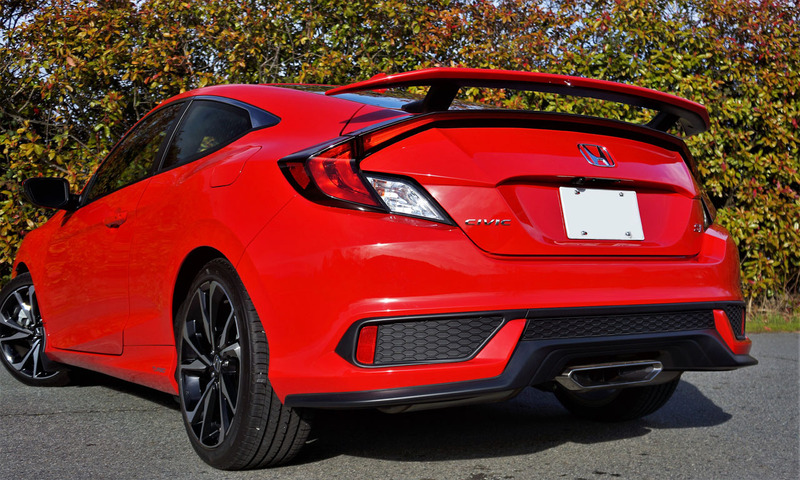 Now, oddly enough, no Civic Hatchback Si is offered, although Civic Type R fans are hardly complaining. 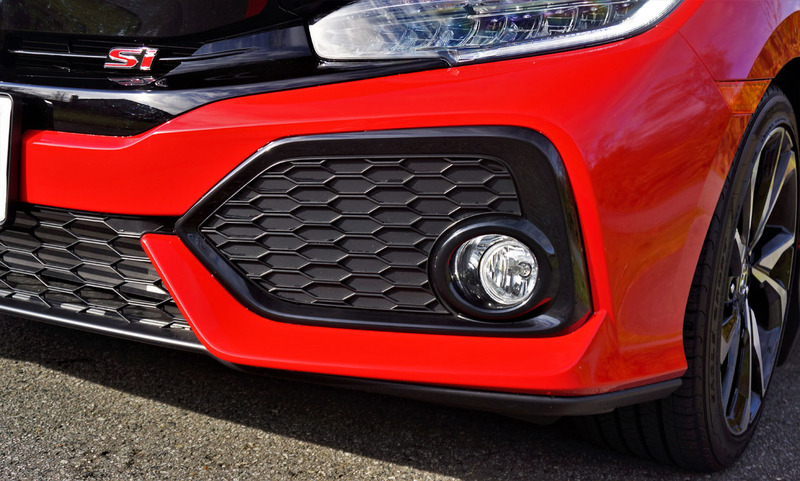 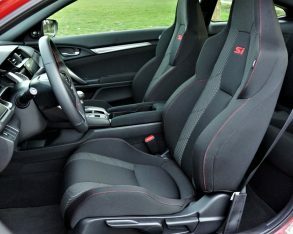 The 306 horsepower super-compact has earned instant legend status on both roads and tracks like the Nürburgring Nordschleife, where it currently holds the fastest front-wheel drive production car title, leaving the Si for sport compact enthusiasts wanting a little more day-to-day livability. 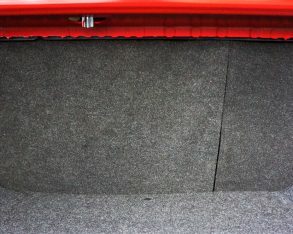 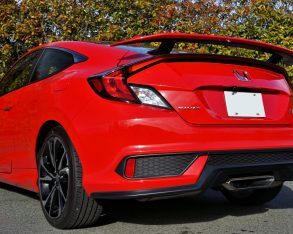 Maybe livability isn’t the right word, because the Type R’s hatchback layout makes it easily suited to family and cargo hauling, but its massive non-carbon rear wing makes that hatch a hefty weight to lift, its radical front seat bolsters are a tad uncomfortable to negotiate after a four-course meal, the centre console-dividing rear seat is limiting to passenger capacity, and the car’s generally edgier driving dynamics might be a bit overzealous for some regular commuters. 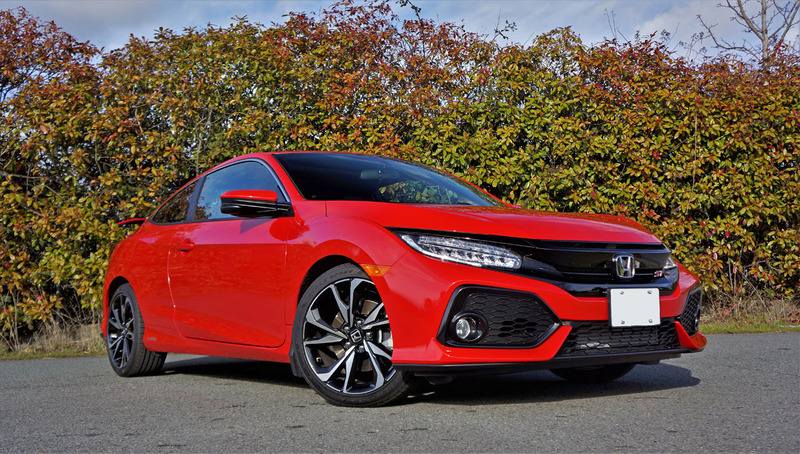 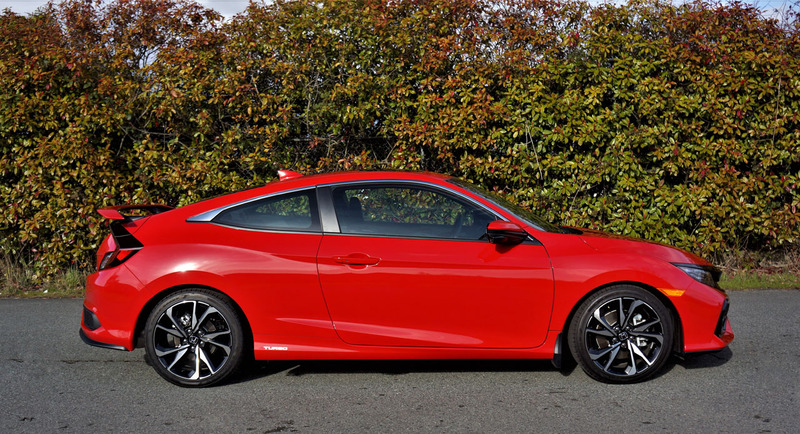 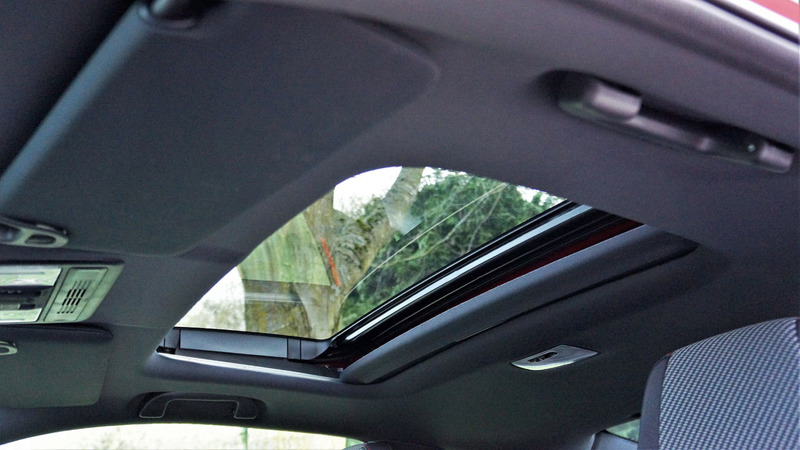 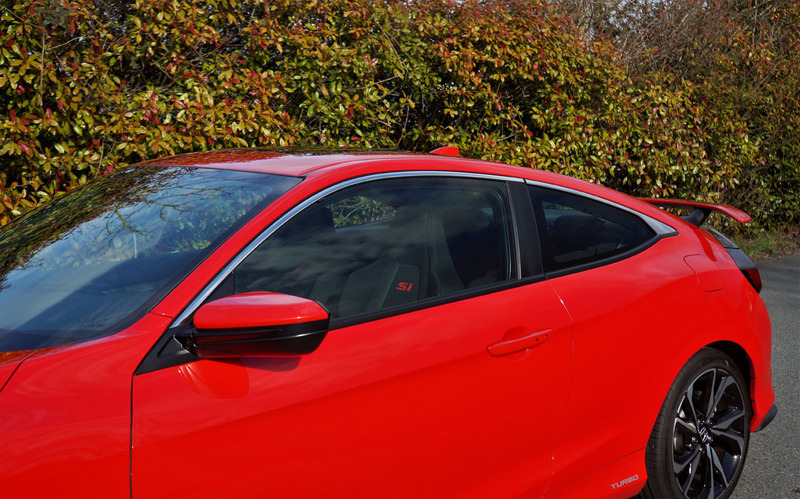 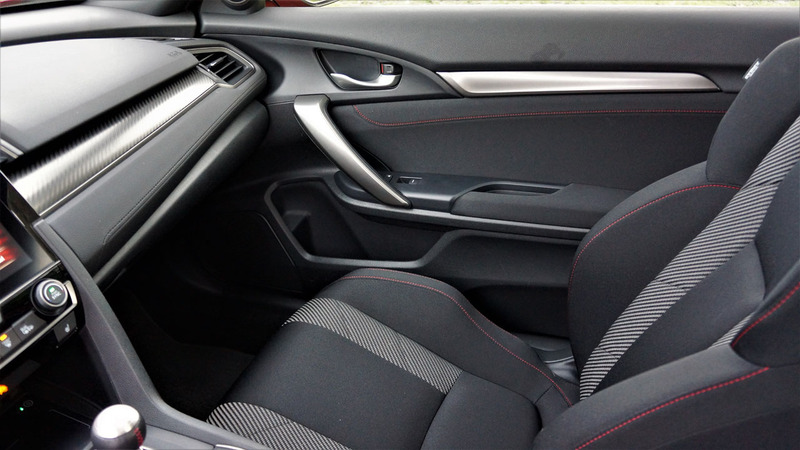 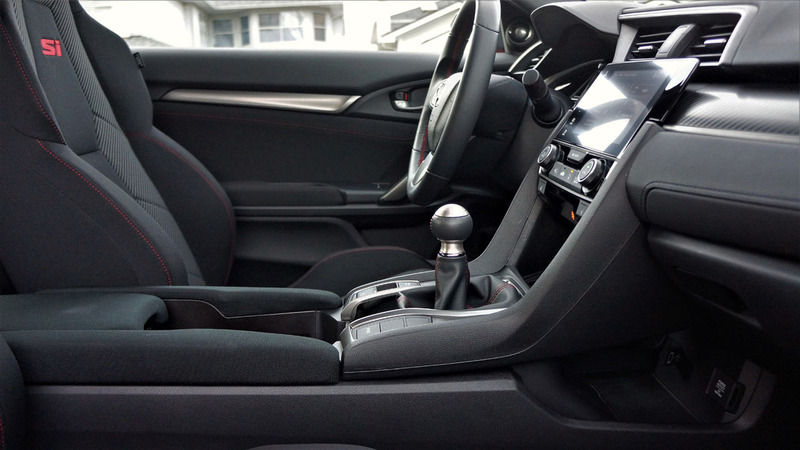 While a future Hatchback Si might be the best passenger/cargo compromise, and the currently available Sedan Si an obvious choice for those looking to maximize performance and pragmatism, you might be surprised at how much room the Coupe Si has inside. 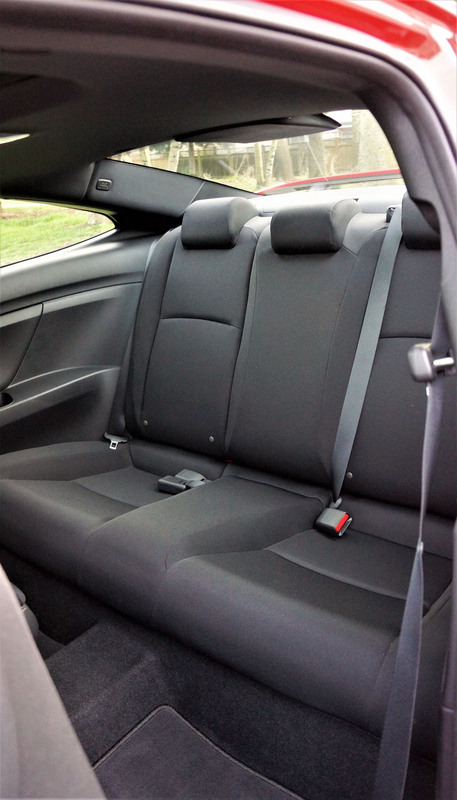 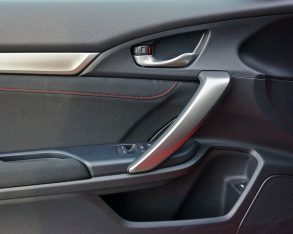 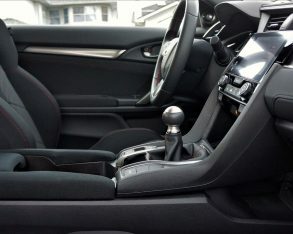 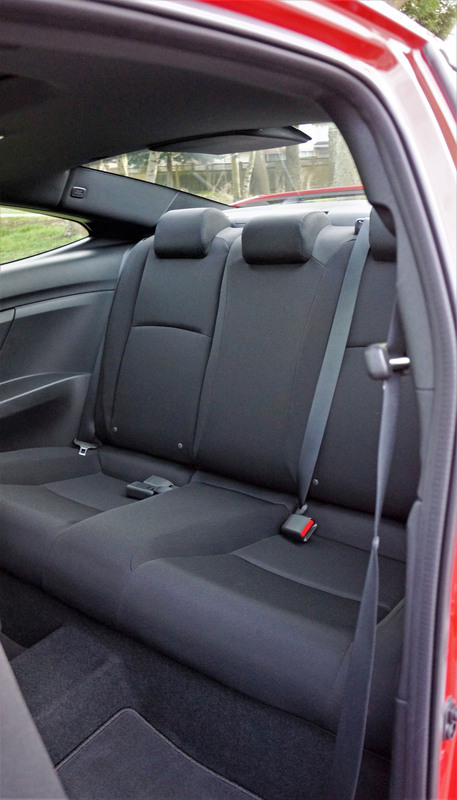 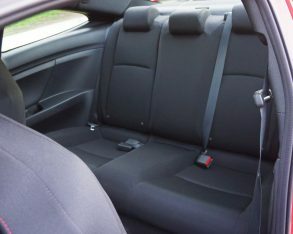 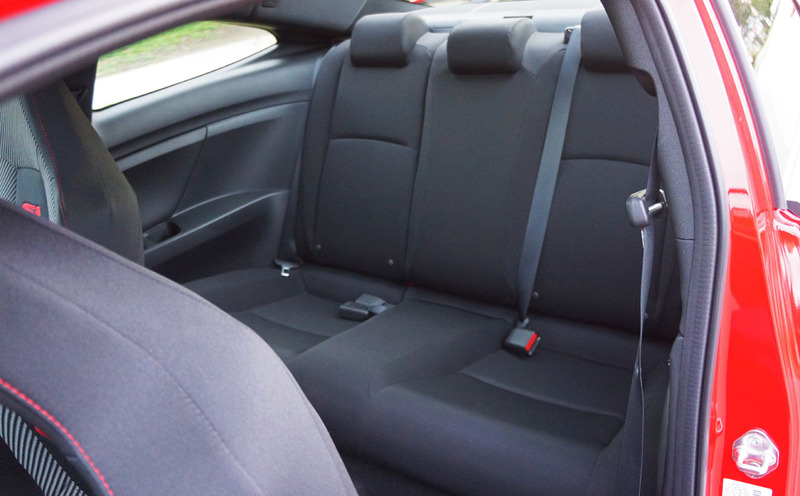 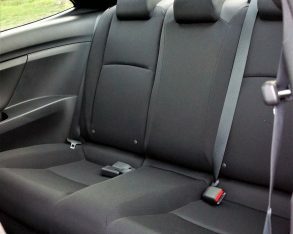 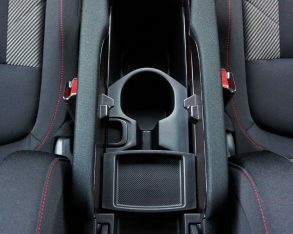 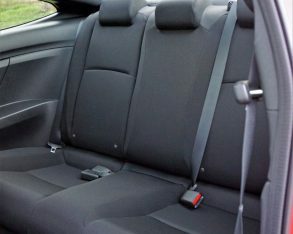 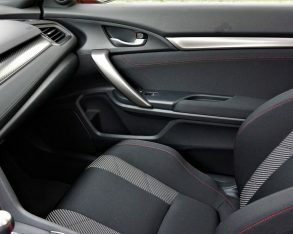 Of course, climbing into the rear seating area is hardly as easy as stepping through a back door, but Honda has fixed three seatbelts across the rear bench, and the middle position isn’t so high that it would be uncomfortable for a fifth passenger, plus kids would probably like its slight elevation. 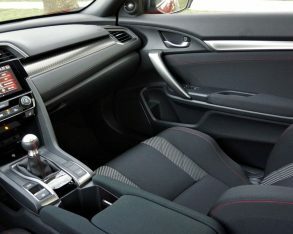 Just to find out for myself, I set the driver’s seat for my five-foot-eight height, climbed through a fairly wide opening into a comfortable outboard seat, and was once again reminded that this two-door sport coupe is sized more like a sedan than most rivals in this segment. 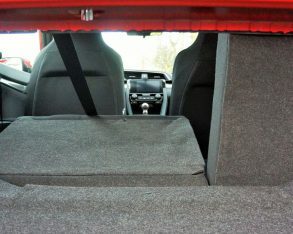 I had three inches of space remaining above my head, at least six inches ahead of my knees, and plenty of room from side to side. 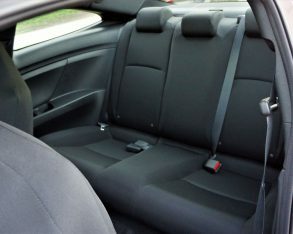 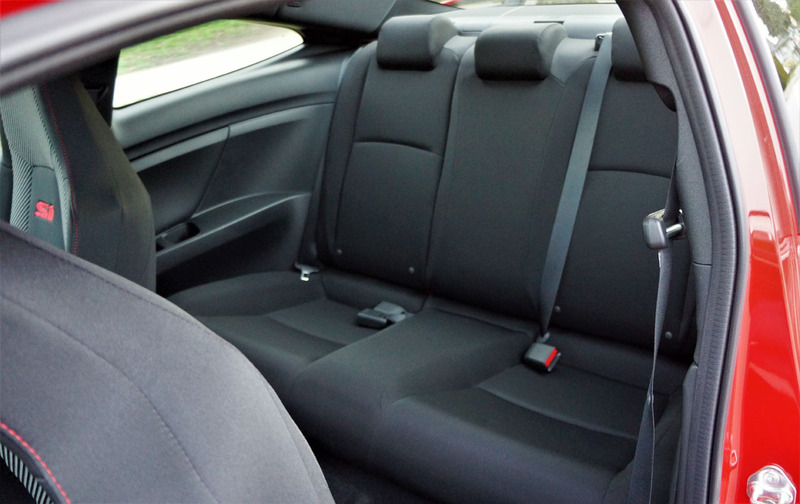 The rear seats provided good back support too, but take note there’s no centre armrest and the ones to each side are made from uncomfortable hard plastic. 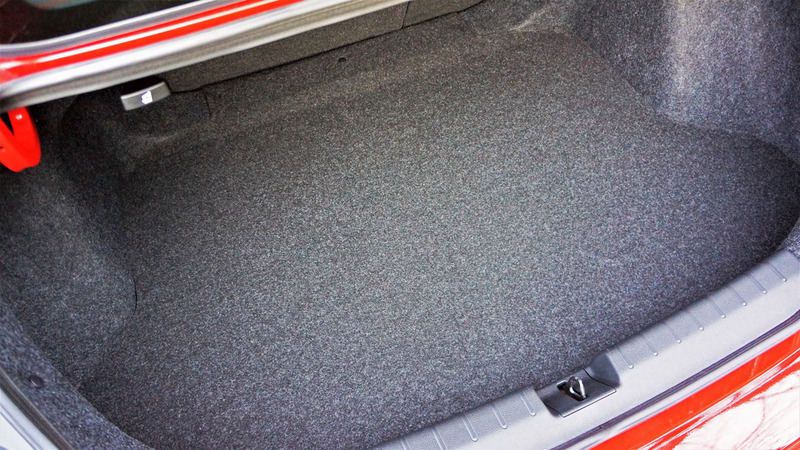 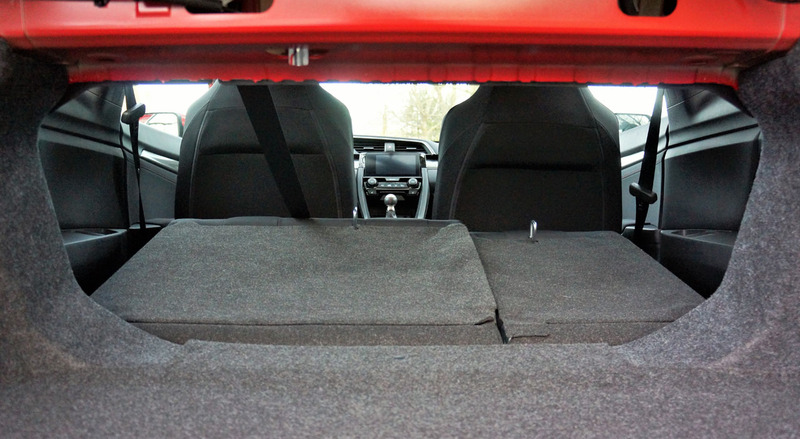 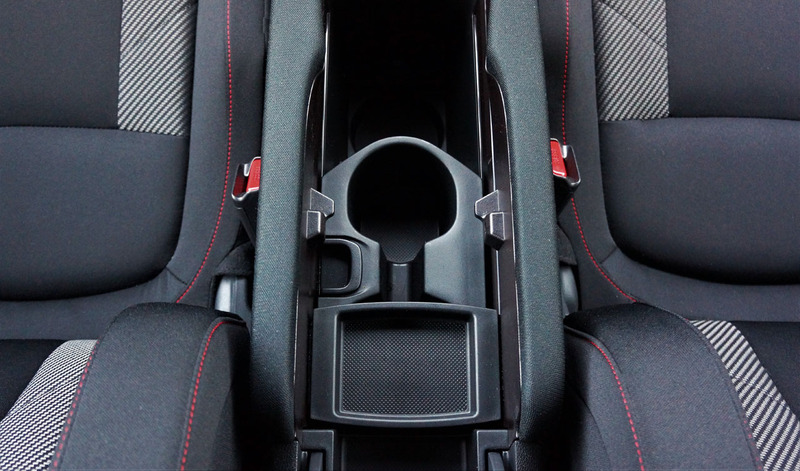 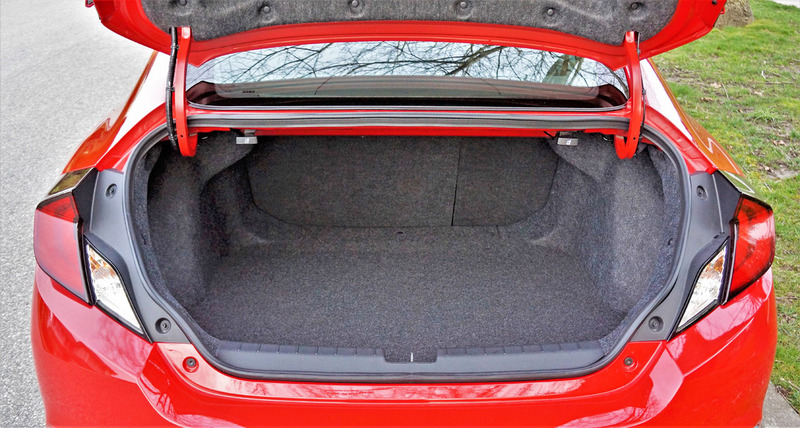 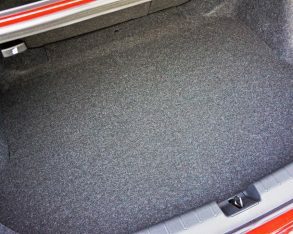 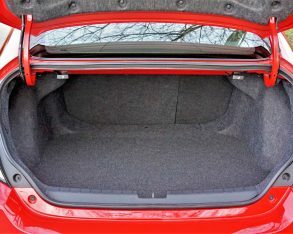 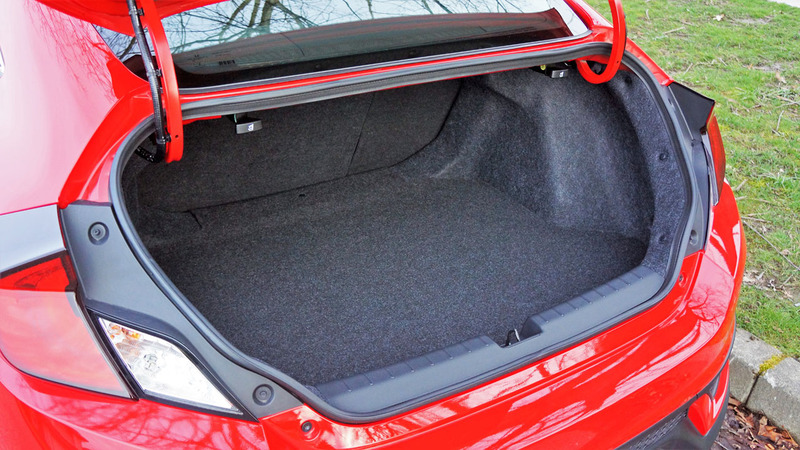 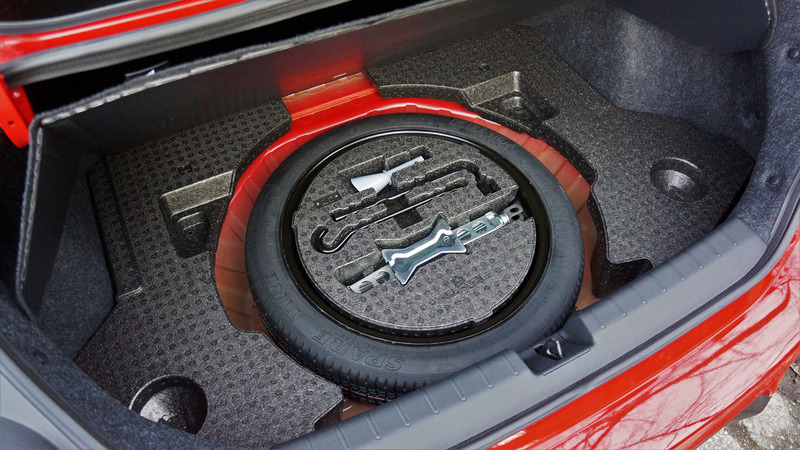 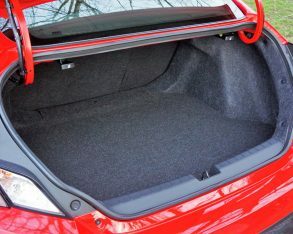 At least the seatbacks are split 60/40 for expanding the usability of the slightly reduced 289-litre trunk, plus they’re equipped with convenient release pulls under the lid. 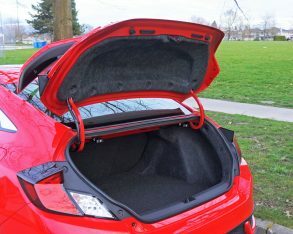 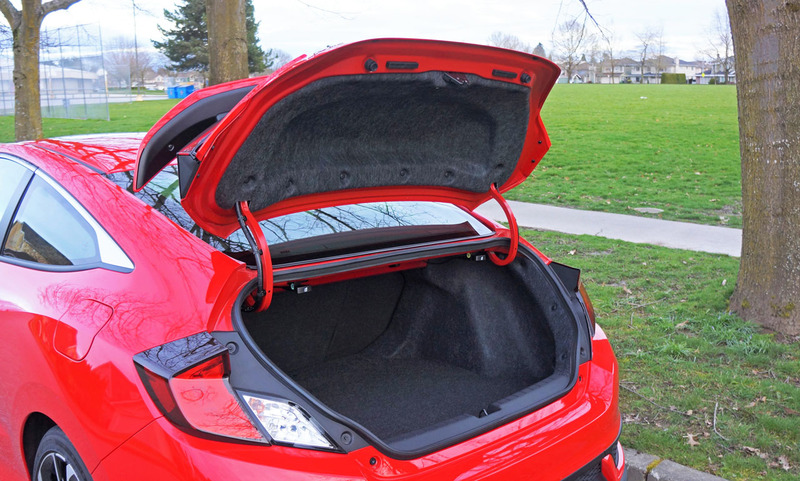 So I think we can agree that the Civic Coupe Si is plenty practical. 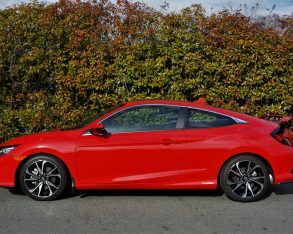 I like the way the Coupe Si looks too, especially when finished in Rallye Red, one of five colours available. 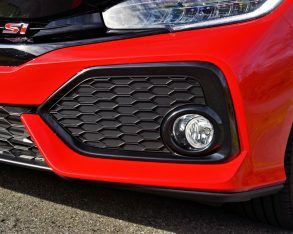 A high contrast colour really helps the gloss and matte black details across the grille stand out, not to mention the blackened trim surrounding the LED headlamps, along the lower fascia, around the side windows, highlighting the wheels, edging the LED taillights, and darkening the rear diffuser, although you might like the ominously inky look of the Crystal Black Pearl painted version better. 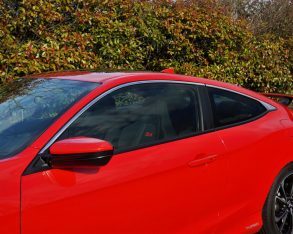 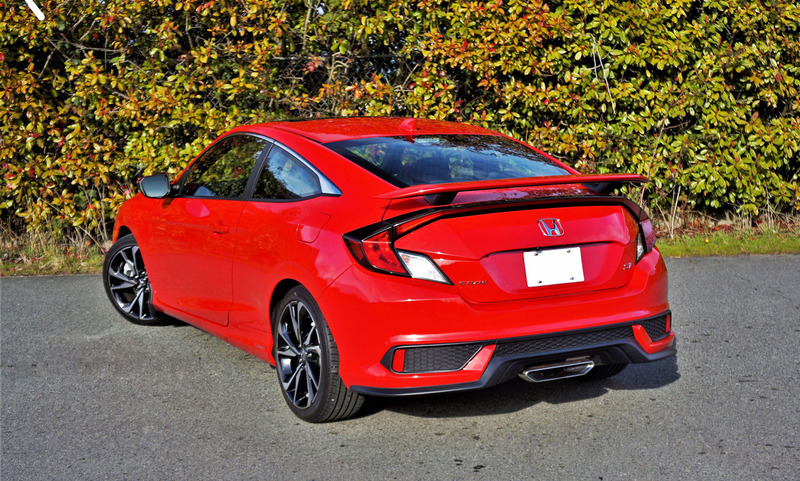 No matter the colour, the Coupe Si looks menacing from up front, and makes a sharply wedged profile from the side, capped off with a large yet still tasteful rear spoiler that adds style and downforce. 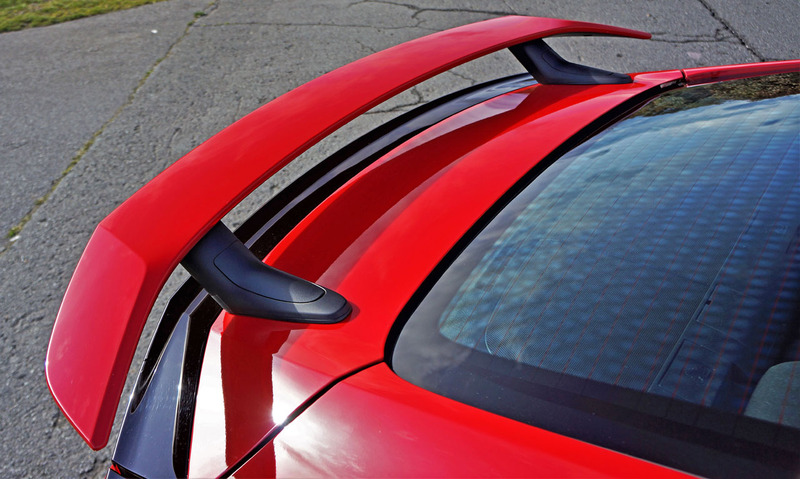 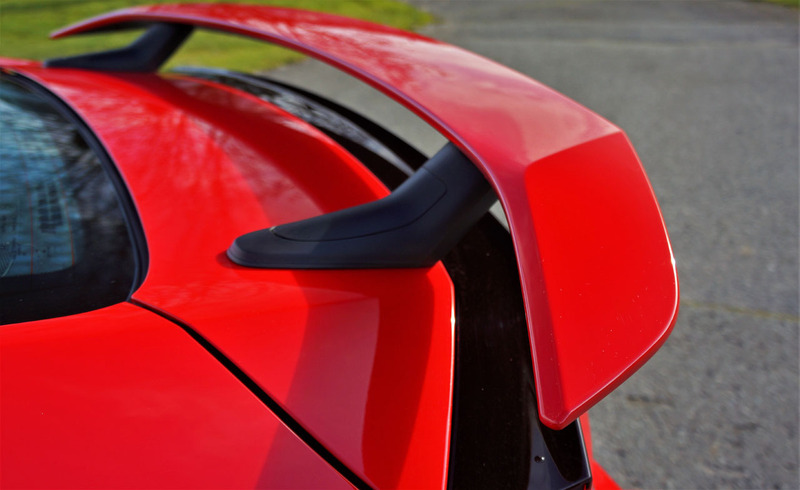 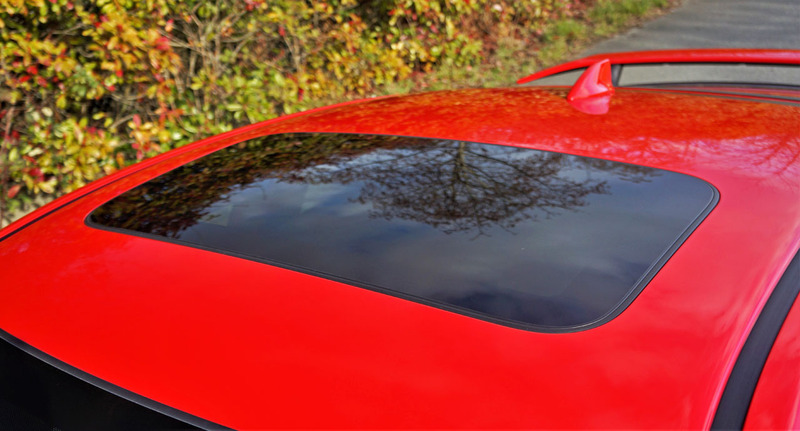 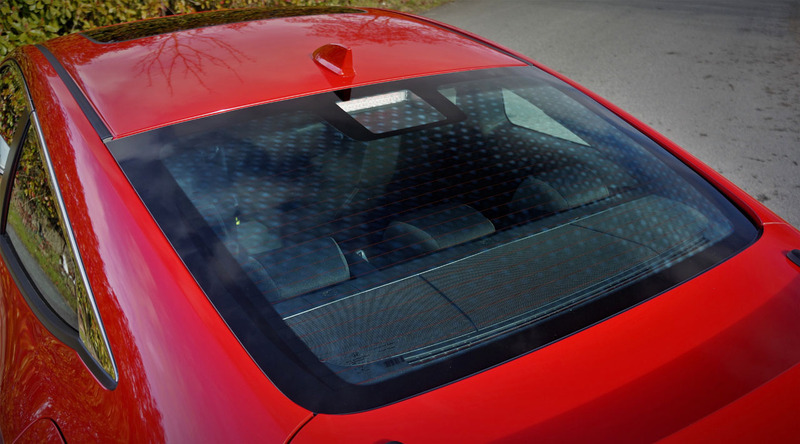 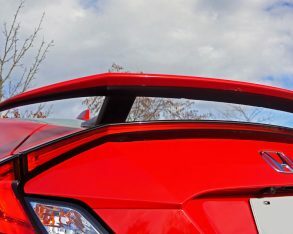 And yes, the Coupe Si can reach track speeds of up to 220 km/h, which is certainly fast enough to require the extra stability provided by an aero-tuned spoiler. 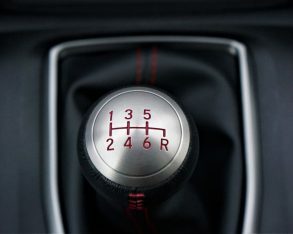 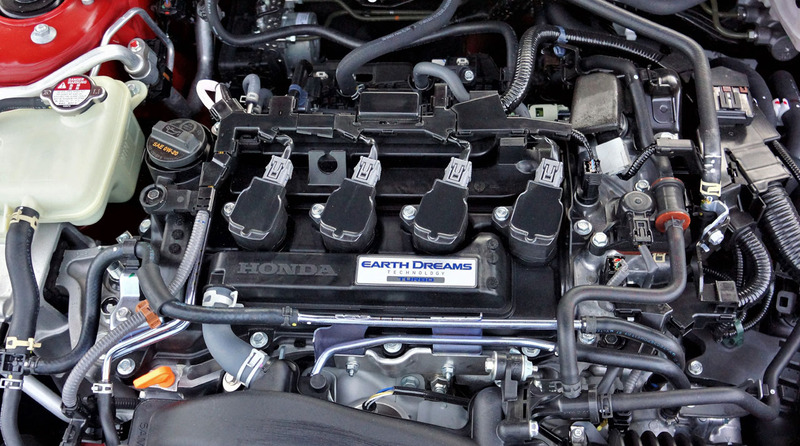 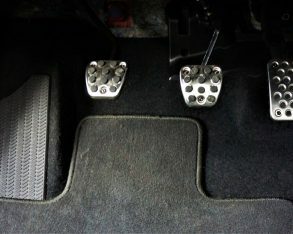 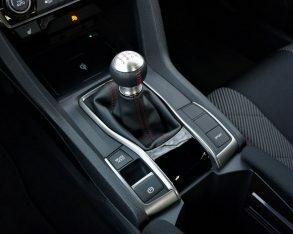 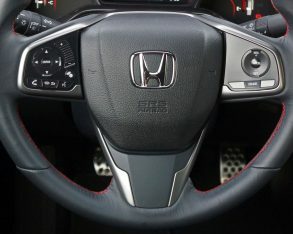 That high-speed performance comes via a recalibrated six-speed manual transmission fed by a new 1.5-litre turbocharged four-cylinder engine with dual variable cam timing, which makes the same 205 horsepower as the previous model’s 2.4-litre naturally aspirated four, yet 18 lb-ft of additional torque resulting in a 192 lb-ft maximum. 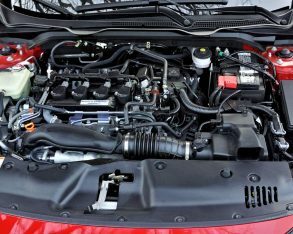 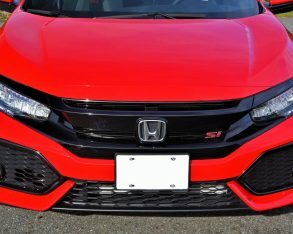 The new power unit is more tractable too, thanks to full power arriving 1,300 rpm lower in the rev range at 5,700 rpm instead of 7,000, whereas the aforementioned max torque comes on 2,300 rpm earlier at 2,100 rpm compared to 4,400 in the old model, plus that twist is sustained over 70 percent of the engine’s rev range. 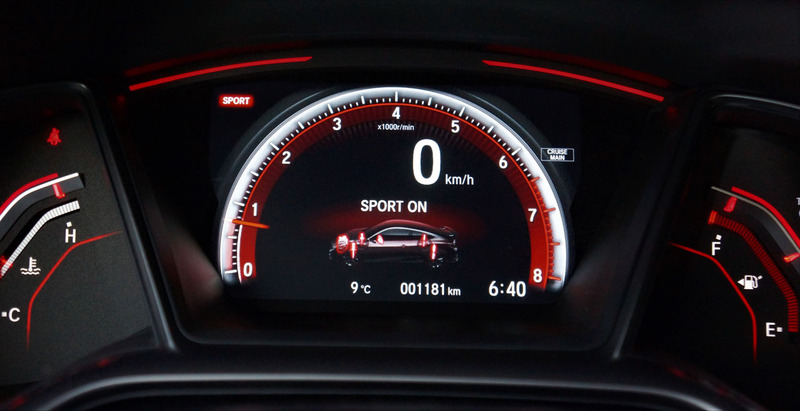 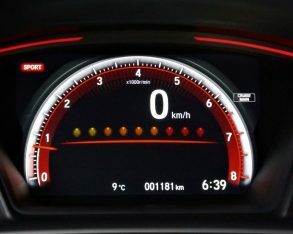 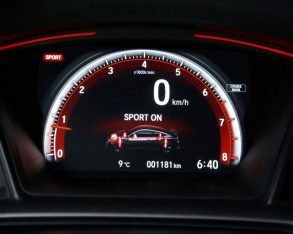 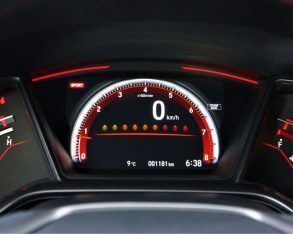 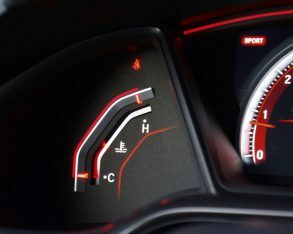 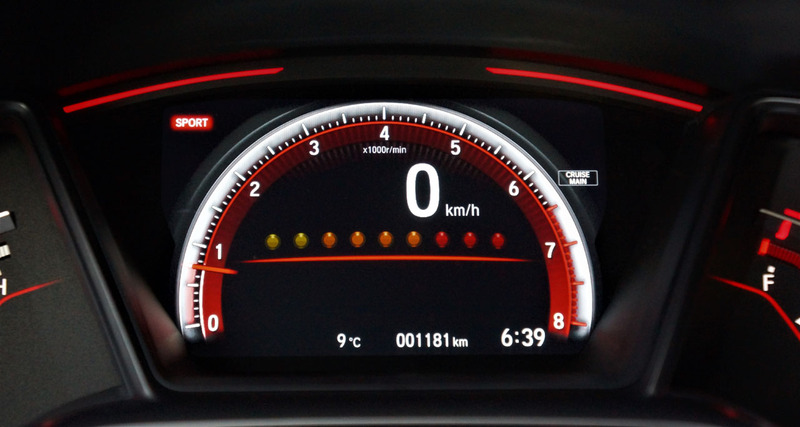 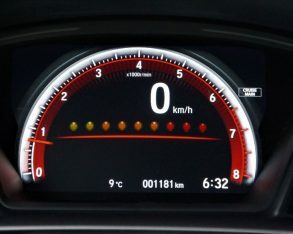 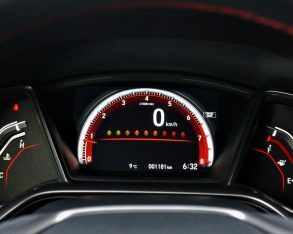 With Sport mode engaged the Coupe Si’s straight-line acceleration feels a lot more spirited than the numbers show, standstill to 100km/h requiring 7.2 seconds. 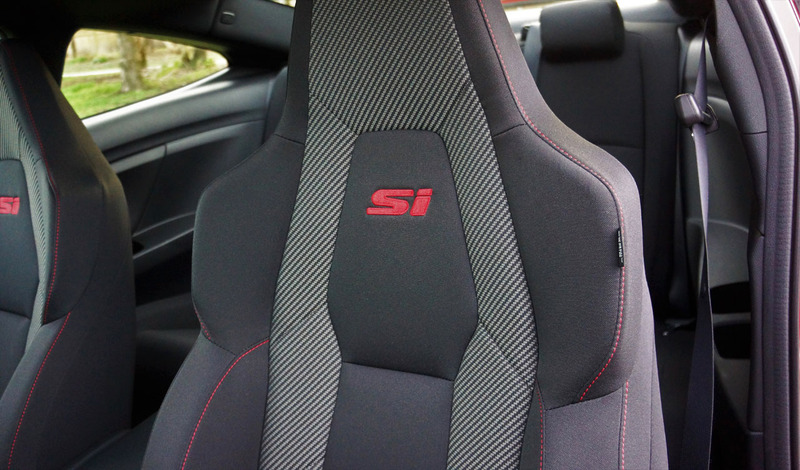 Like I said, by the seat of the pants the Si feels much quicker, and it was never designed to be a drag racer anyway. 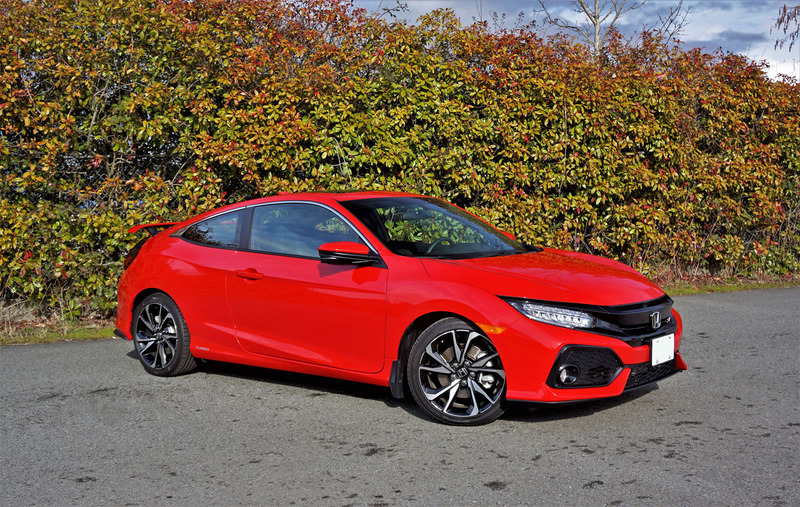 Find an open stretch of curving back road and the Coupe Si immediately shows its key strength, adeptly managing corners. 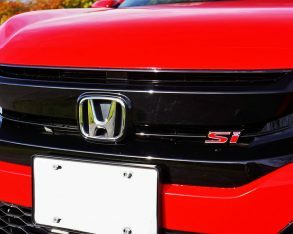 It’s always been one of my favourite cars to drive fast, and the new chassis setup is easily the most stable in Si history. 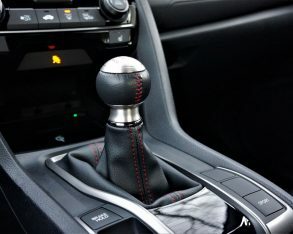 You can fling it into the sharpest of corners at almost any reasonable speed, and the worst you’ll get is mild understeer. 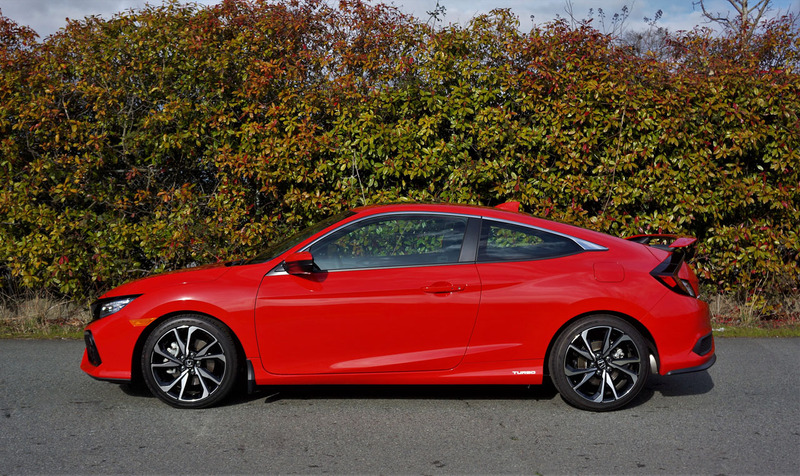 It’s wonderfully balanced, totally predictable, and ruddy fast when pushed hard. 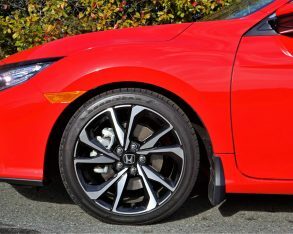 An off camber curve? 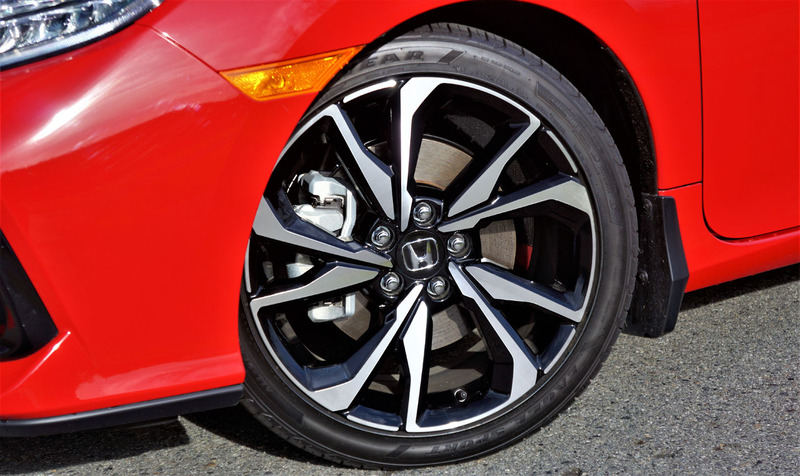 No problem, even if you hit a bump or pothole halfway through. 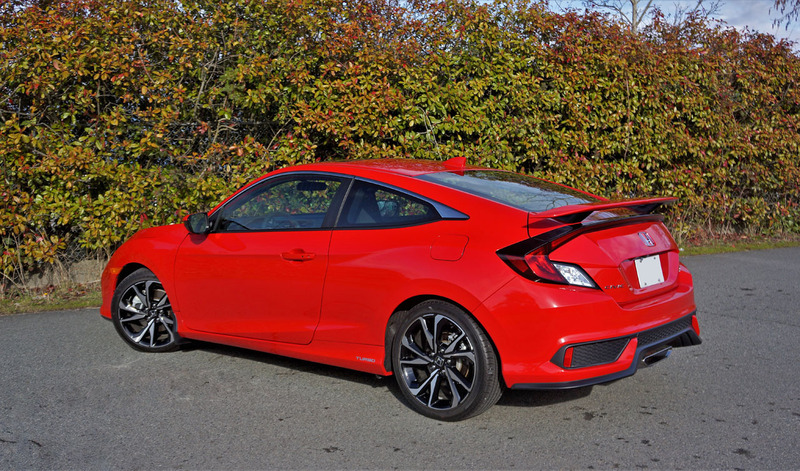 The Civic’s already better than average fully independent front strut, rear multi-link suspension has been tweaked for even greater capability, with beefier 27 mm front and 18 mm rear stabilizer bars plus adaptive dampers, so the Coupe Si is totally up to the task. 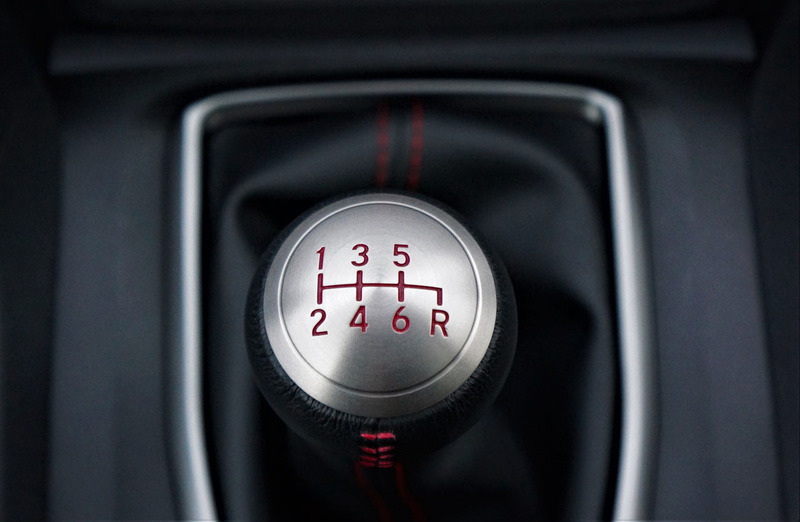 The steering is ideally weighted for optimal control too, providing positive, quick response to input and decent feedback, while a helical limited slip differential makes the most of available traction. 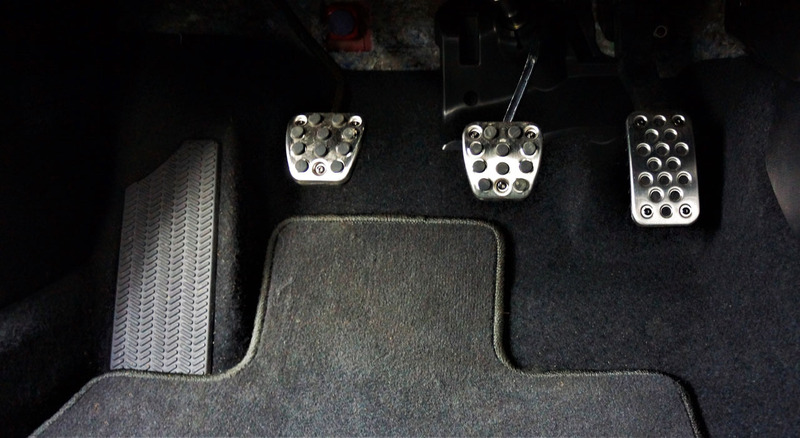 Likewise, braking is strong with very little fade, even after repeated stomps. 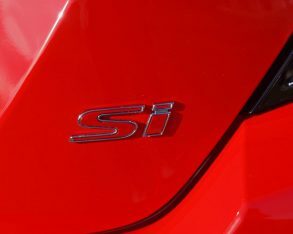 Truly, the Si remains one of the best cars available for embarrassing Mustang GT owners, as long as you’re on a tight twisting two-laner. 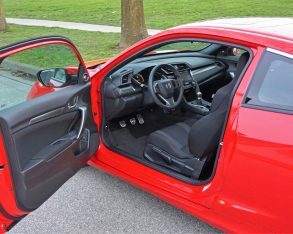 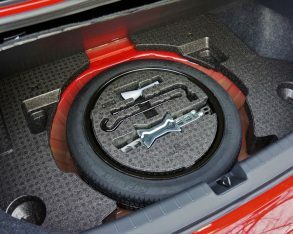 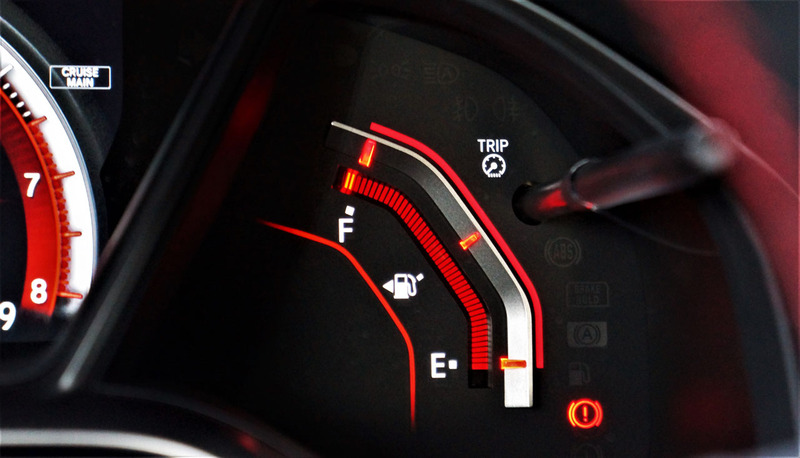 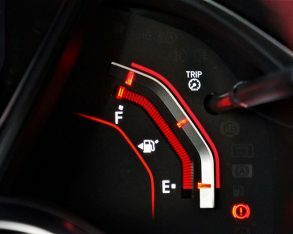 If a pit stop is required that Mustang owner will also need a lot more time to fill up at the pump, the Coupe Si’s 46.9-litre tank capable of going a lot farther thanks to claimed fuel economy of 8.4 L/100km city, 6.2 highway and 7.4 combined, which incidentally is a massive improvement over the previously model’s 10.8 city, 7.6 highway and 9.4 combined. 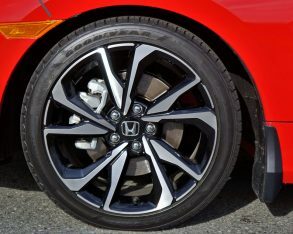 The rubber responsible for reducing rolling resistance while simultaneously providing all that aforementioned grip is a set of 235/40R18 91W Goodyear Eagle Sport performance tires, wrapped around stylish 18-inch, 10-spoke, machine-finished alloys with glossy black painted pockets, while additional standard features include proximity keyless access, pushbutton ignition, an electromechanical parking brake, illuminated steering wheel-mounted cruise, audio, phone and Driver Information Interface (DII) controls, dual-zone auto climate control, a 7.0-inch touchscreen infotainment system with Apple CarPlay and Android Auto smartphone integration, a multi-angle backup camera with dynamic guidelines, Honda’s exclusive LaneWatch blindspot display, navigation, voice activation, Bluetooth wireless phone connectivity with streaming audio, wireless device charging, 452-watt 10-speaker premium audio with satellite and HD radio, heatable front seats, and much more for just $29,090 plus freight and fees, as verified on CarCostCanada.com along with dealer invoice pricing and the latest rebate information, while its rigid body structure design and full assortment of standard safety kit help it achieve a 5-star rating from the NHTSA. 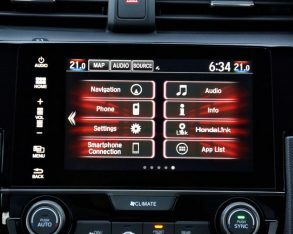 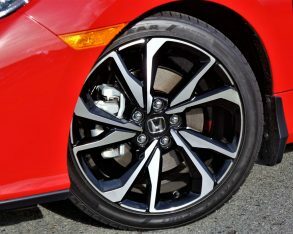 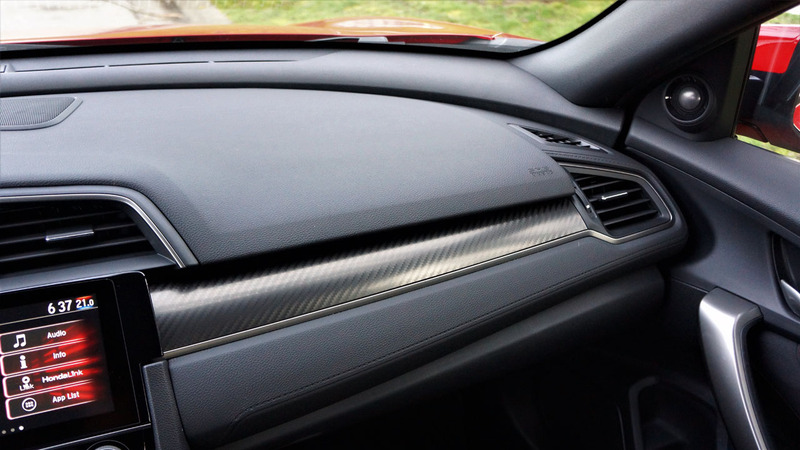 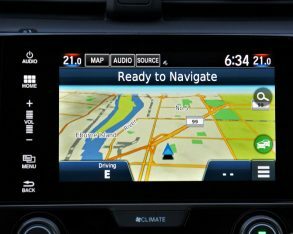 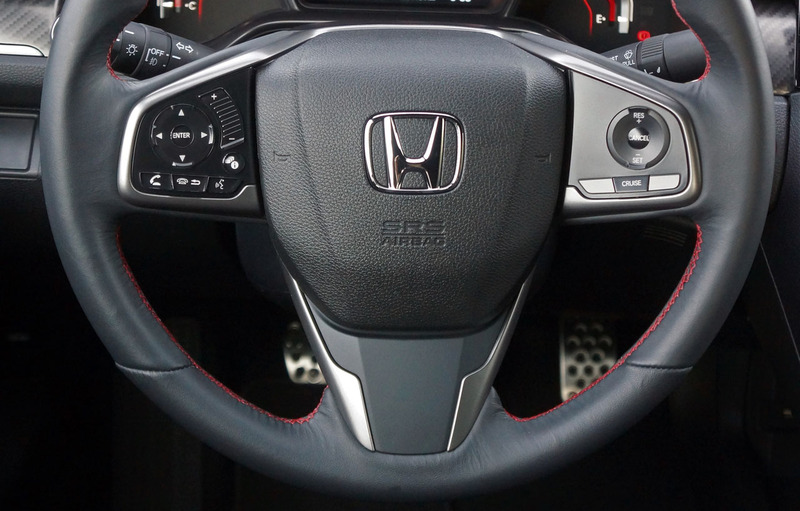 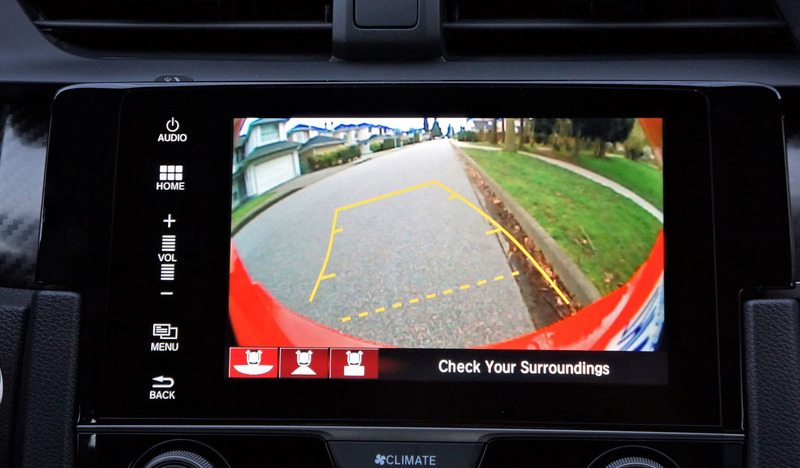 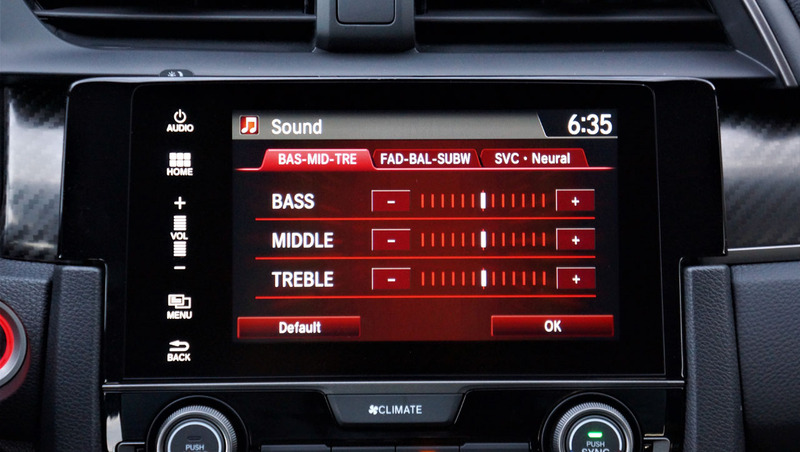 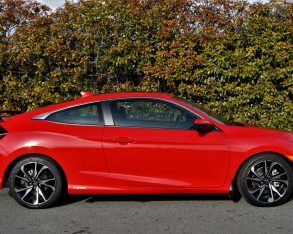 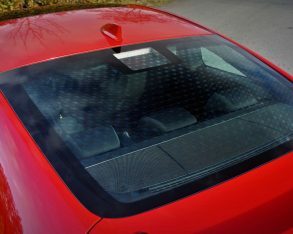 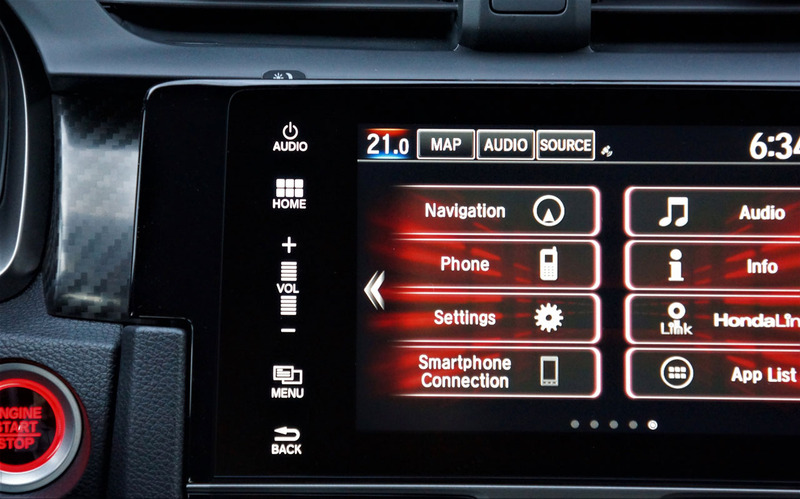 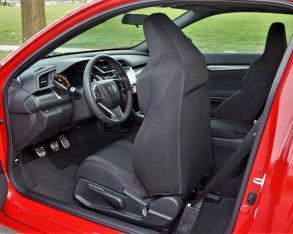 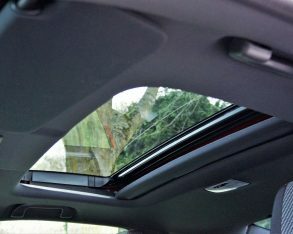 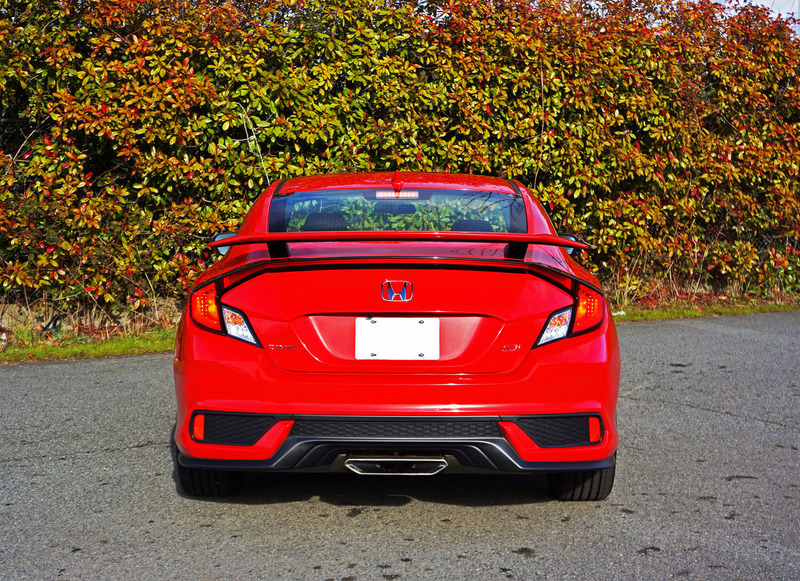 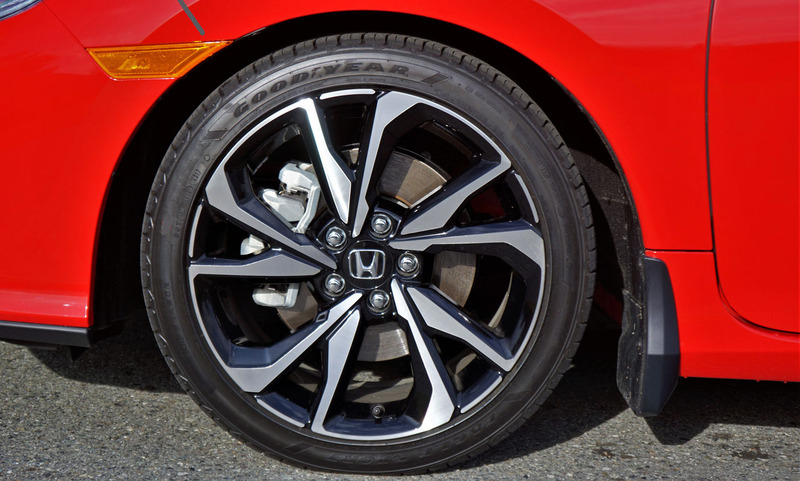 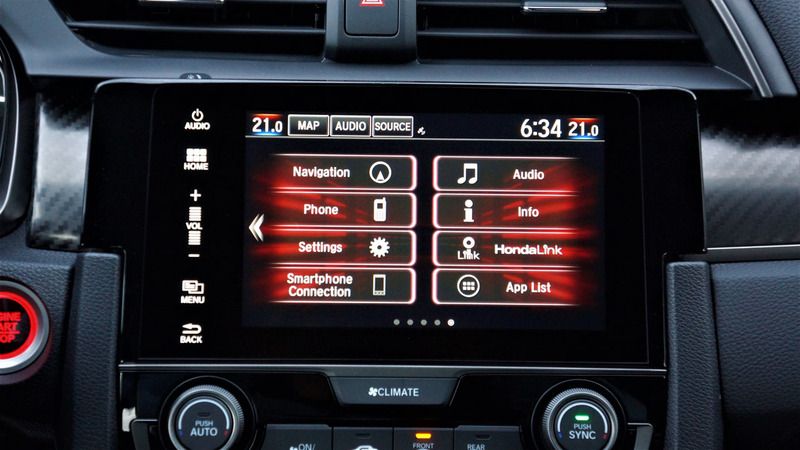 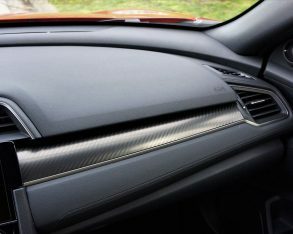 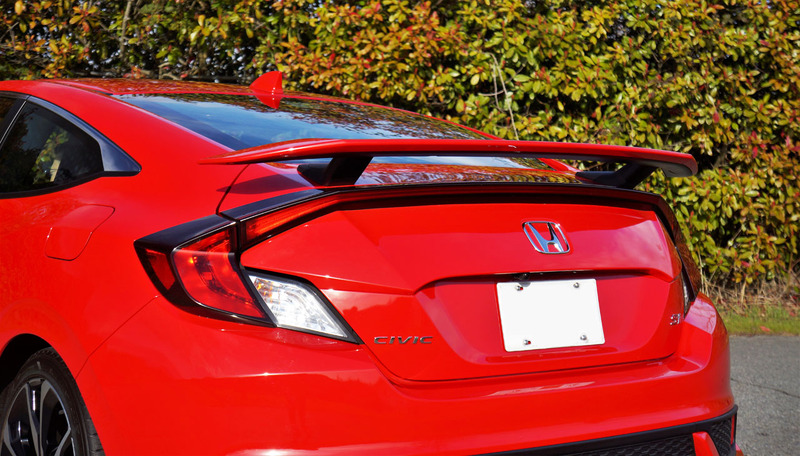 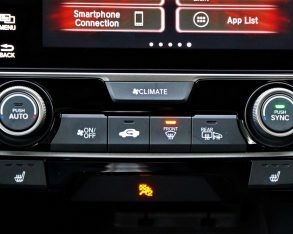 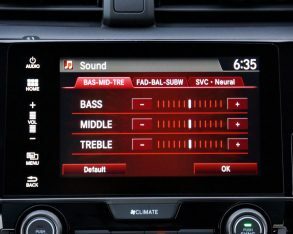 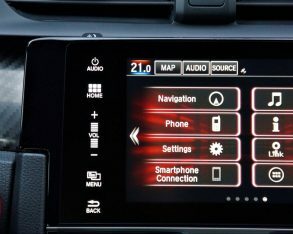 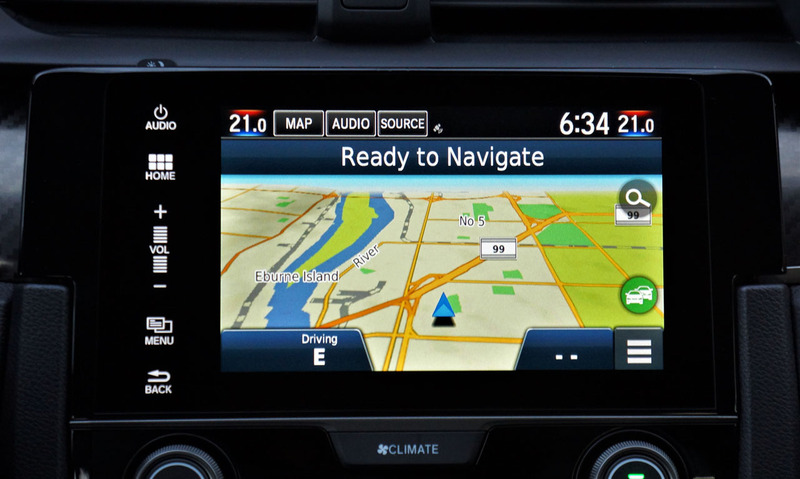 While Honda provides plenty of dealer-added accessories, such as an Illumination Package and Protection Package, different alloy wheels, aero add-ons, an auto-dimming rearview mirror, an ambient lighting kit, an illuminated console, plus cargo protection and organization gear, it doesn’t offer any factory options with the Coupe Si. 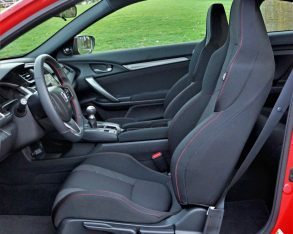 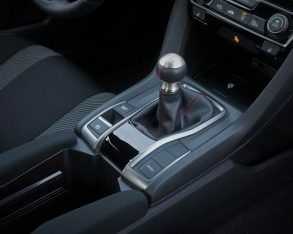 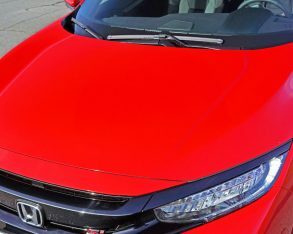 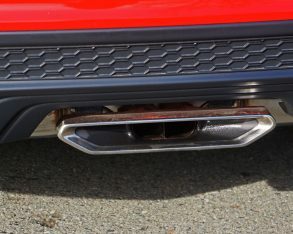 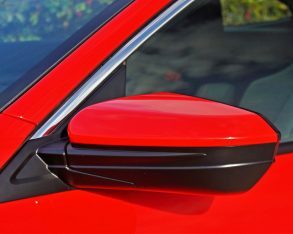 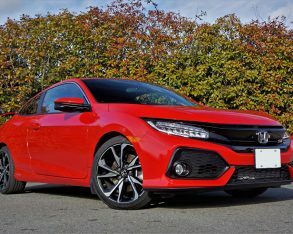 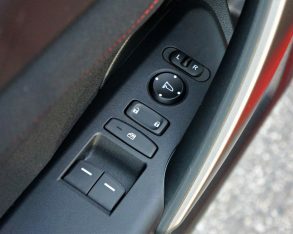 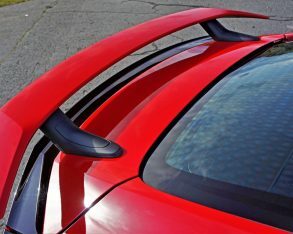 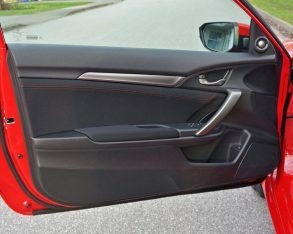 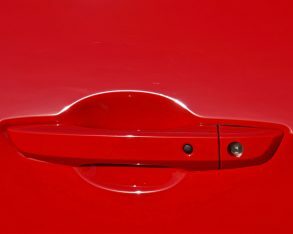 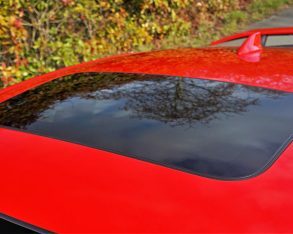 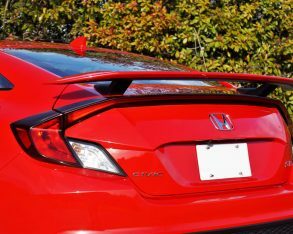 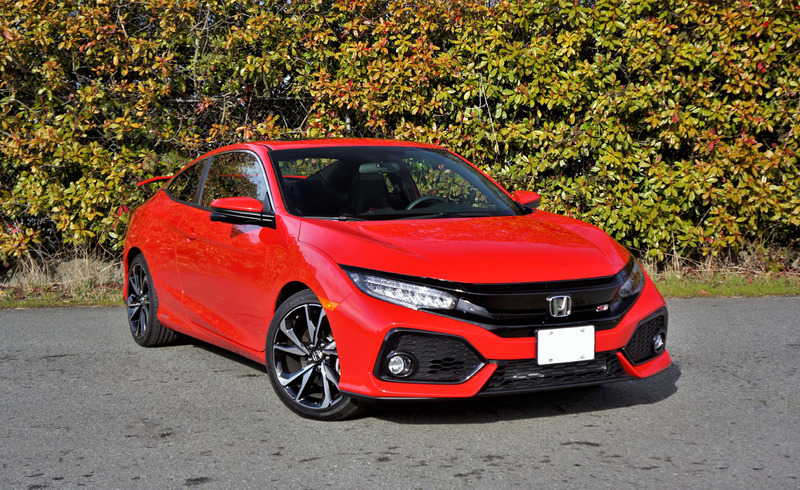 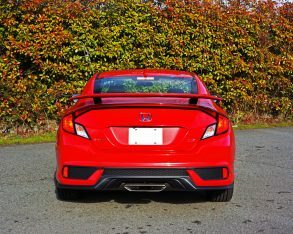 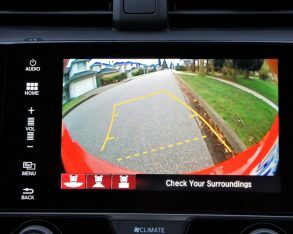 This said you can now move up to the new Coupe Si HFP (Honda Factory Performance) trim level that features a special lip spoiler and side sills, unique 19-inch alloy wheels, a sport suspension with modified active dampers that reportedly improve handling and ride quality, plus a handful of interior upgrades for $34,790. 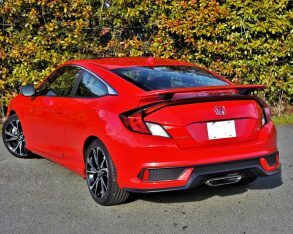 Whether choosing a regular Coupe Si or the new HFP model, all of the aforementioned features come housed in one of the more impressive cabins in the compact class, starting with all that makes the regular Civic Coupe good, such as ergonomically friendly and artistically innovative interior design, premium-level soft-touch synthetics on key surfaces, attractive metal accents, superb switchgear throughout, and one of the best semi-digital gauge clusters in the class, complemented by an equally impressive infotainment touchscreen, all upgraded to Si standards. 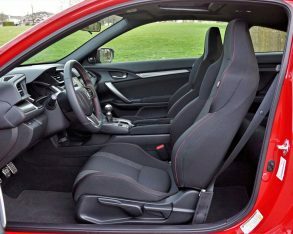 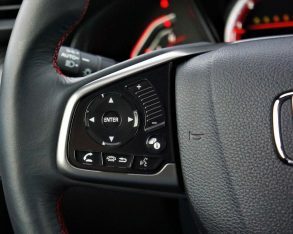 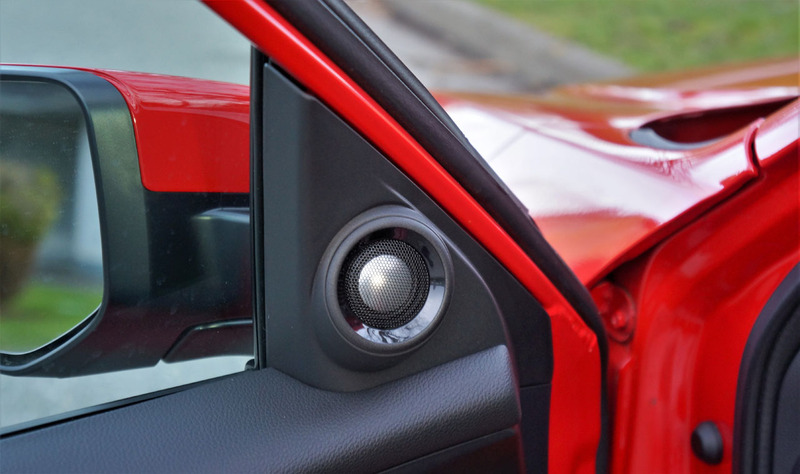 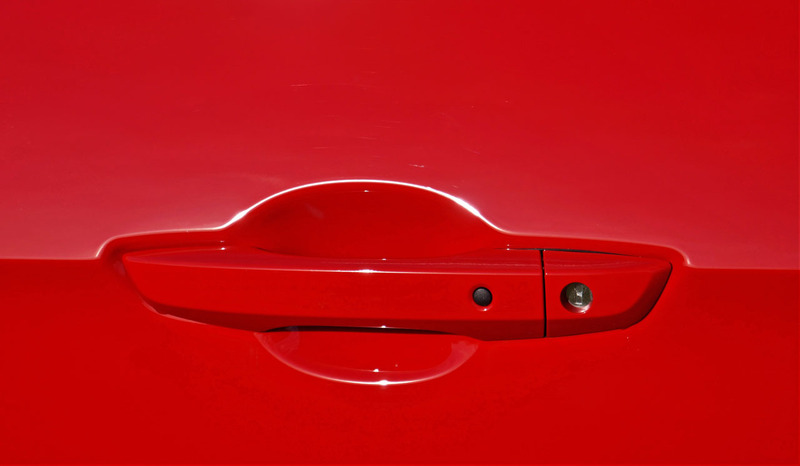 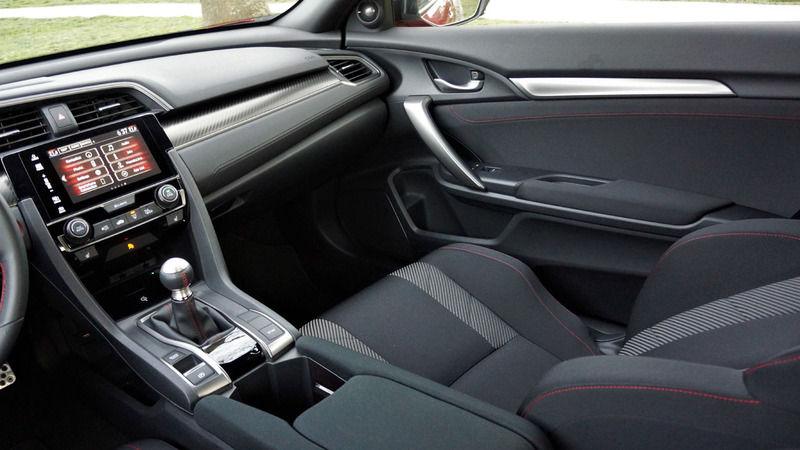 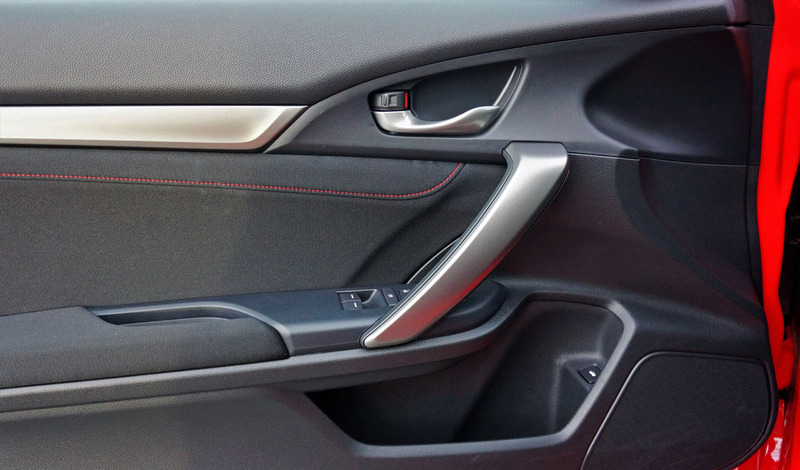 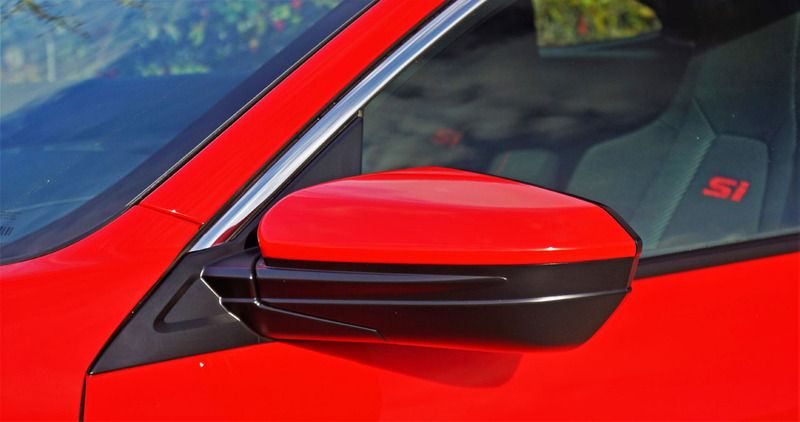 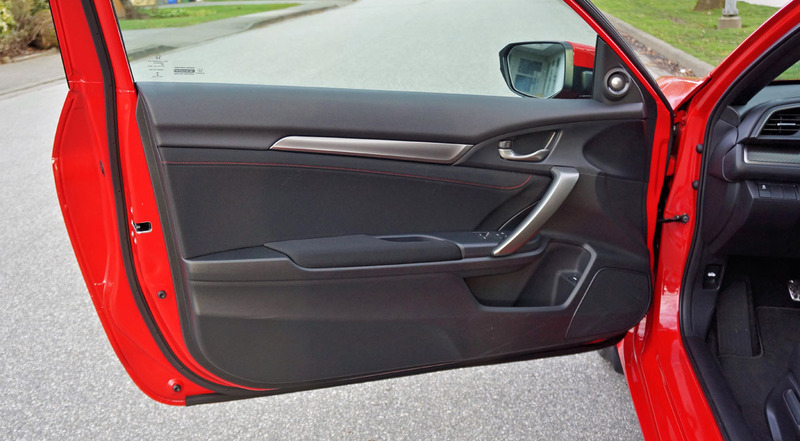 This means the interior theme is red on black, although only with tasteful splashes of the former so as to spice up, rather than overwhelm the look. 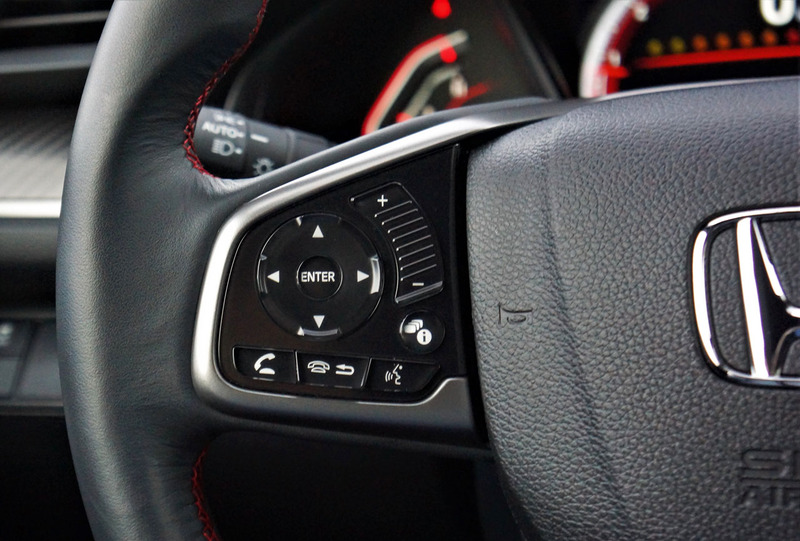 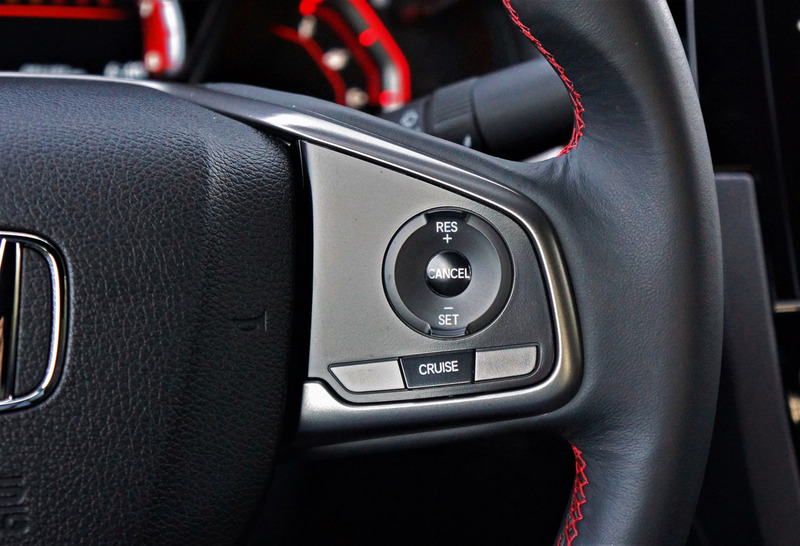 The steering wheel, featuring red baseball stitching around the inside, is ideally shaped for comfort and control, while red stitching adorns the leather and metal shift knob and leather boot just below. 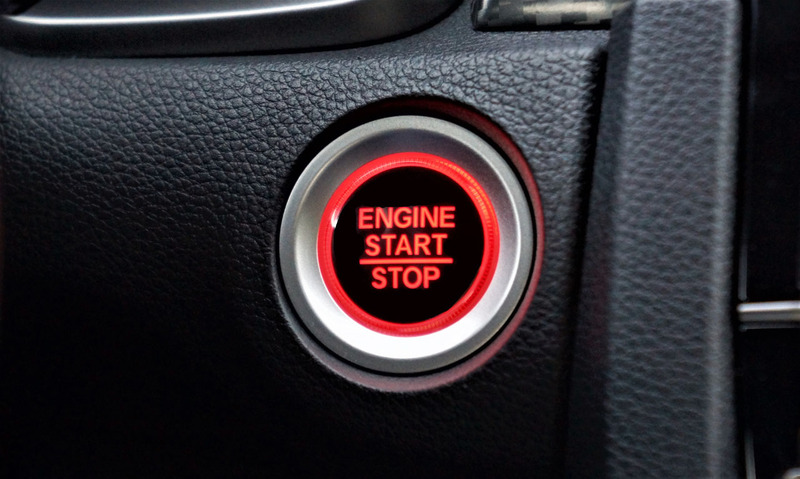 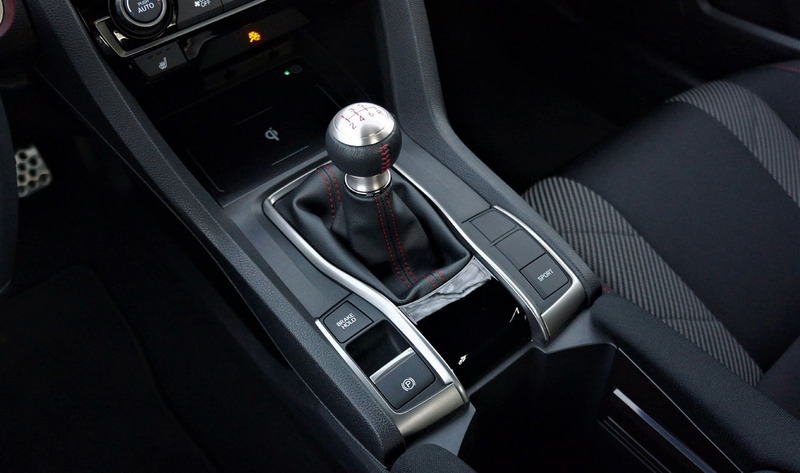 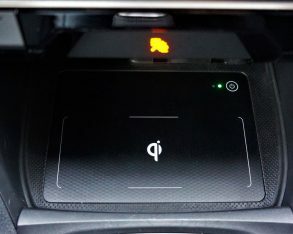 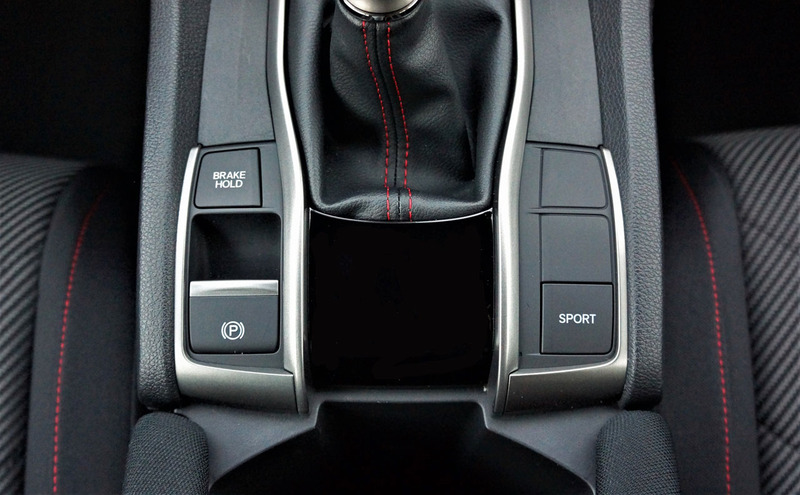 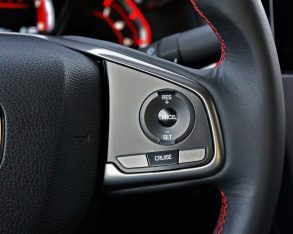 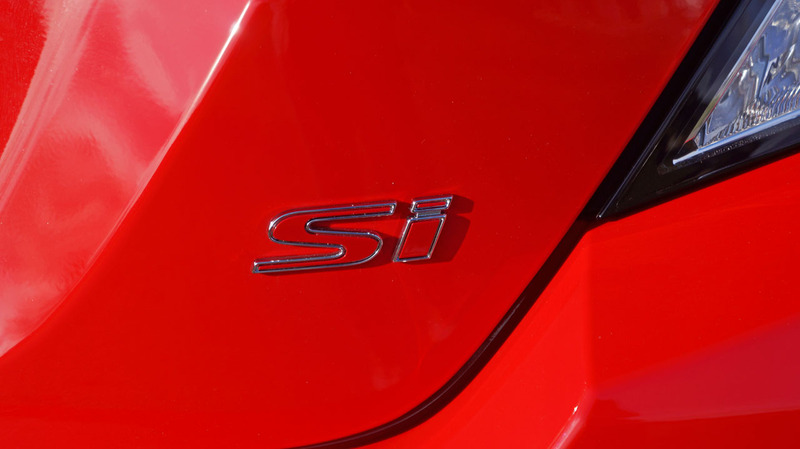 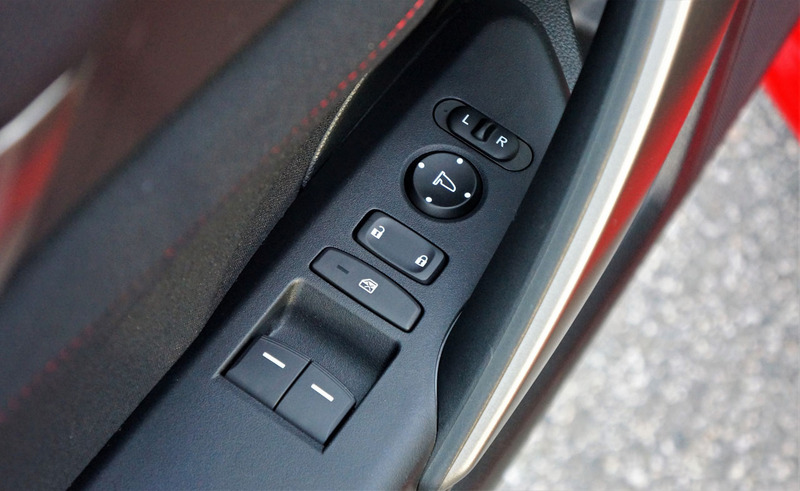 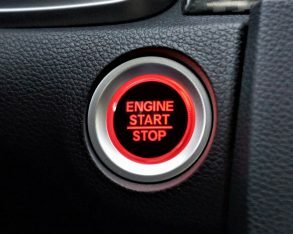 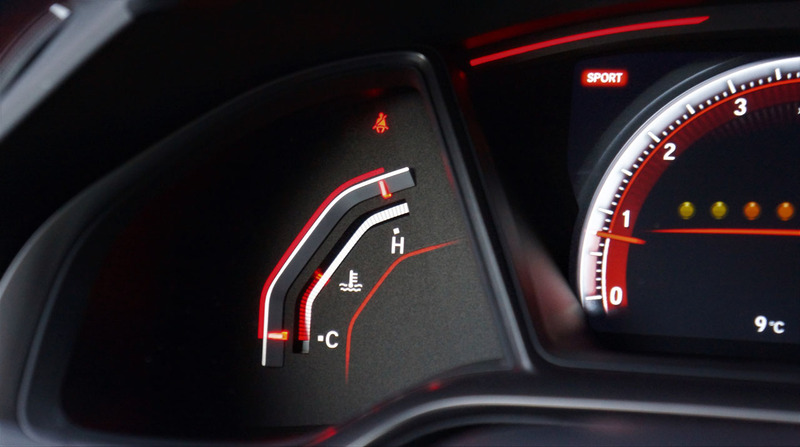 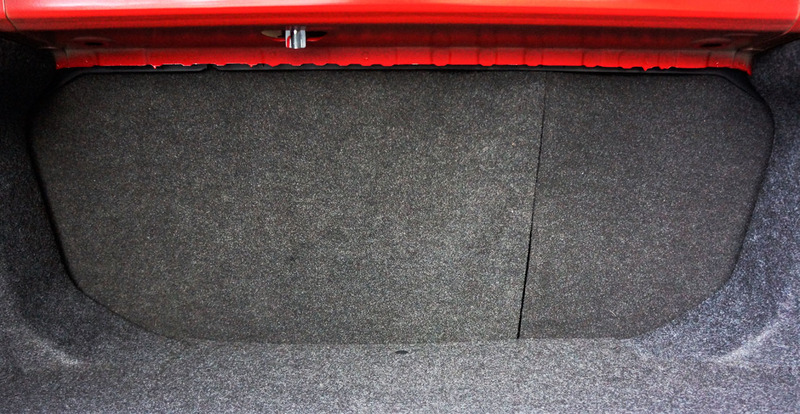 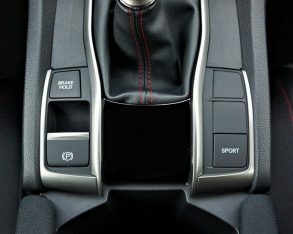 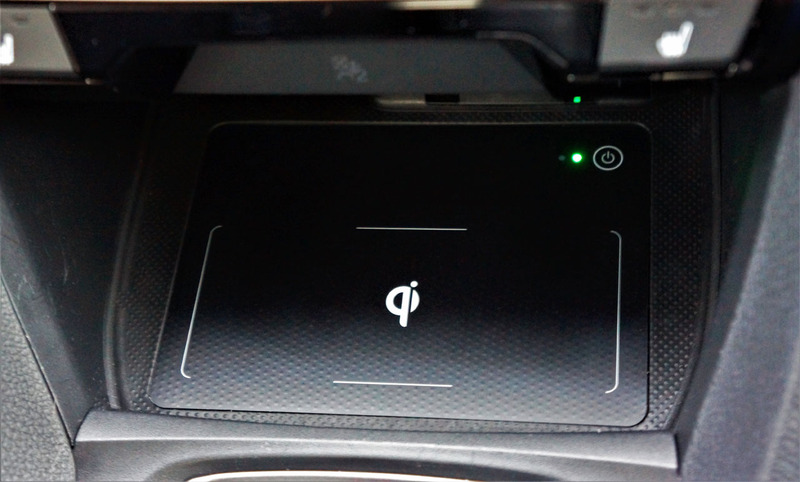 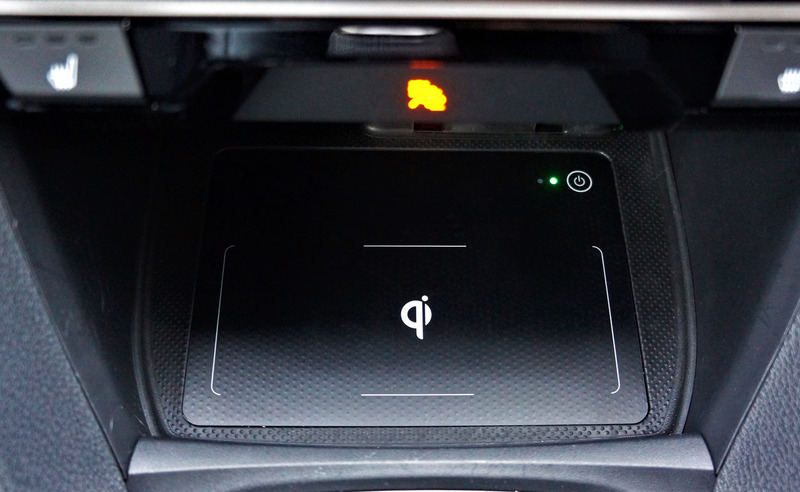 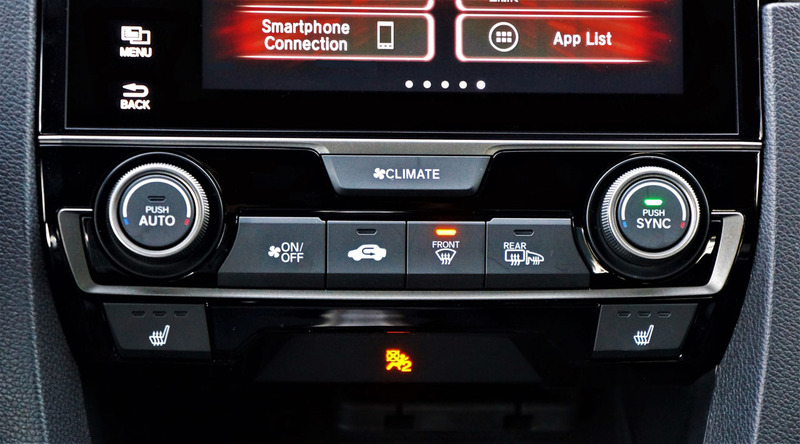 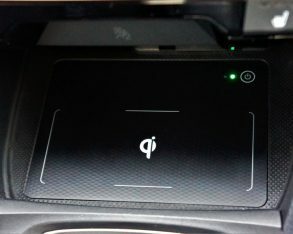 The Si cabin’s go-fast appeal is further enhanced with aluminum sport pedals, while the engine ignition button glows in a soft red, mirroring the red highlighted electronic interfaces to each side. 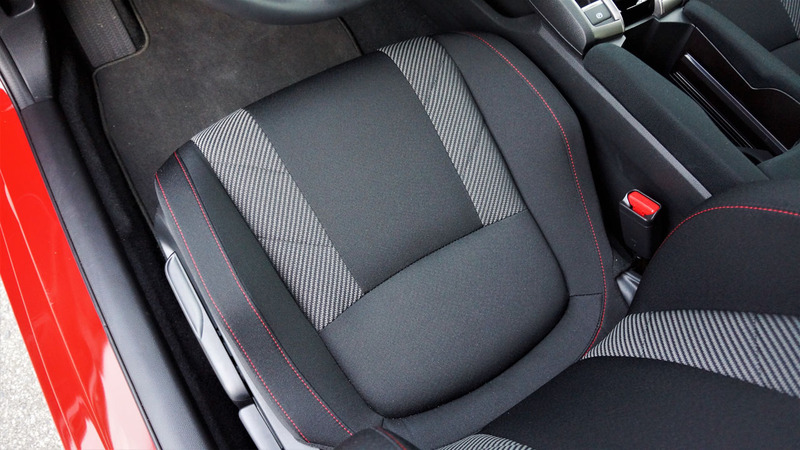 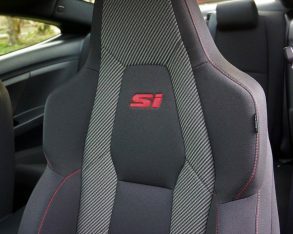 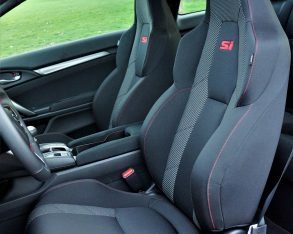 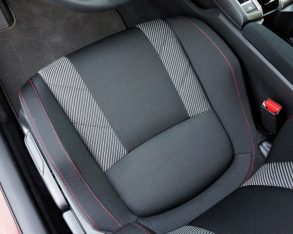 Furthermore, the red “Si” embroidered sport seats are heavily bolstered and covered in black woven upholstery that’s highlighted with a thick grey patterned stripe to each side of the inset, plus two lines of red stitching on the bolsters. 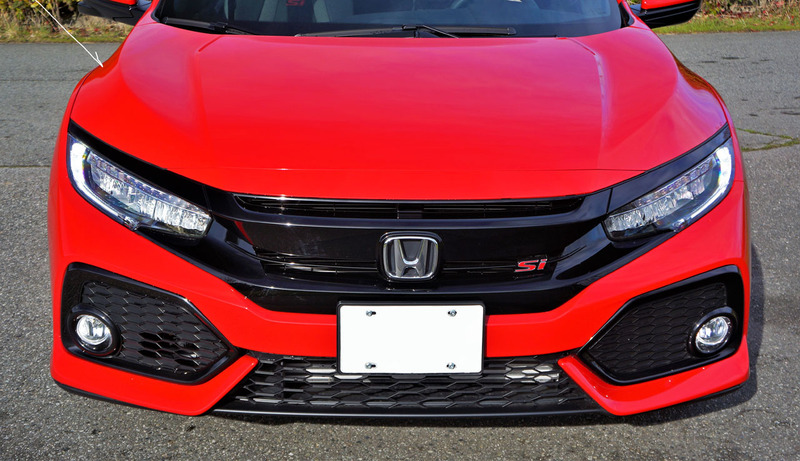 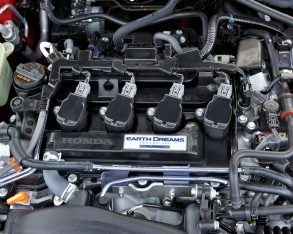 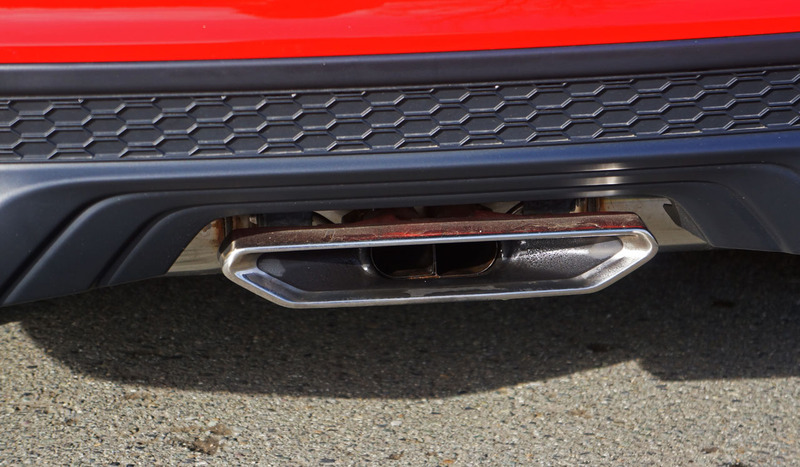 They look fabulous and feel even better, and by that I mean they’re not as radically shaped as the Type R’s, allowing easier ingress and egress, yet they’re still supportive enough for most peoples’ performance needs. 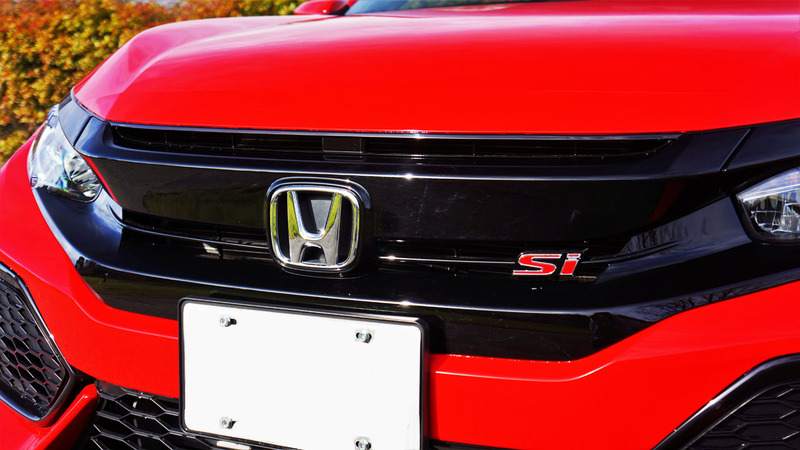 That last point sums up any Si. 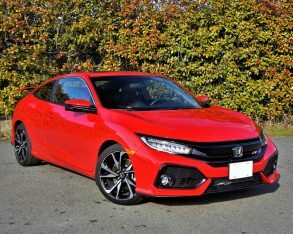 It’s a car that can be driven daily in absolute comfort without sacrificing practical needs including fuel economy, while it’s still fully capable of tearing up a stretch of tarmac, whether that be on a lonely back country road or at your local parking lot autocross. 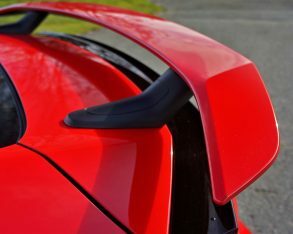 It’ll even do you proud on the racetrack, and no doubt surprise a few V8-powered pony car owners as they try to keep up in the curves at the next “Run What Ya Brung” event. 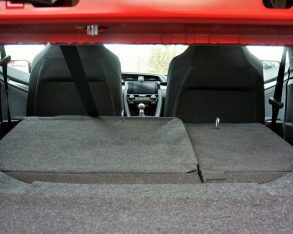 I’ve experienced this firsthand, and the jaw-dropping looks on their faces are priceless. 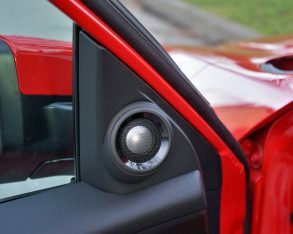 Of course, they should really know better. 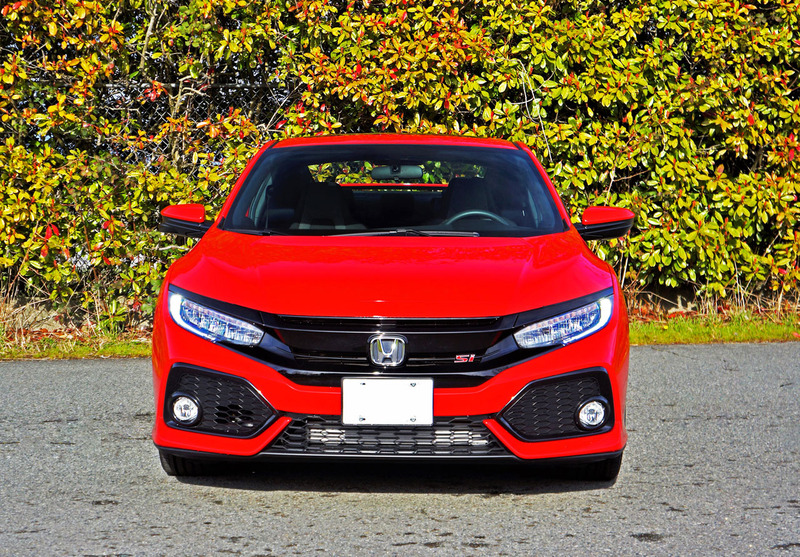 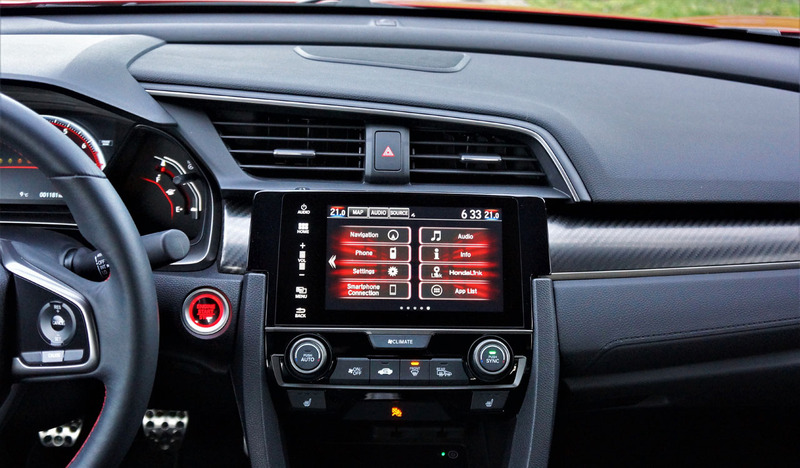 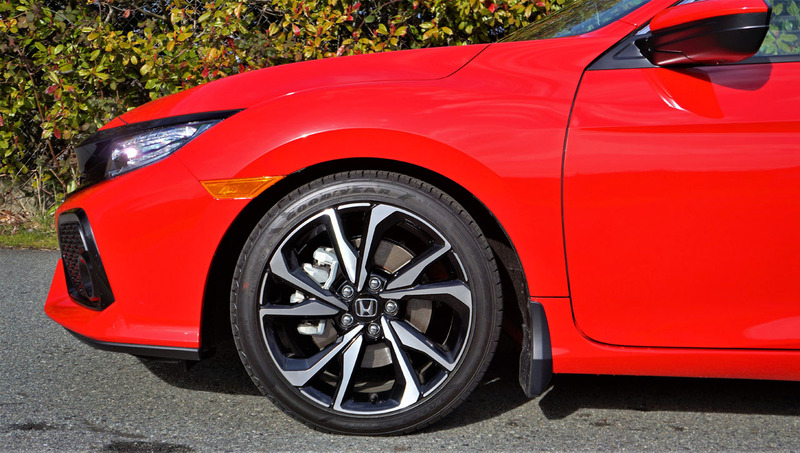 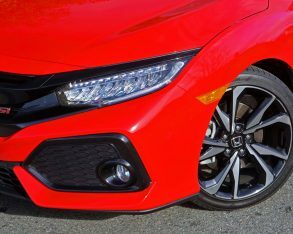 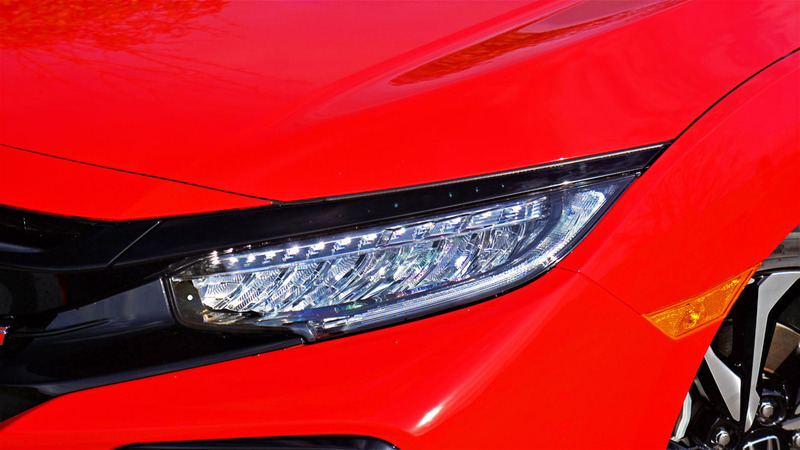 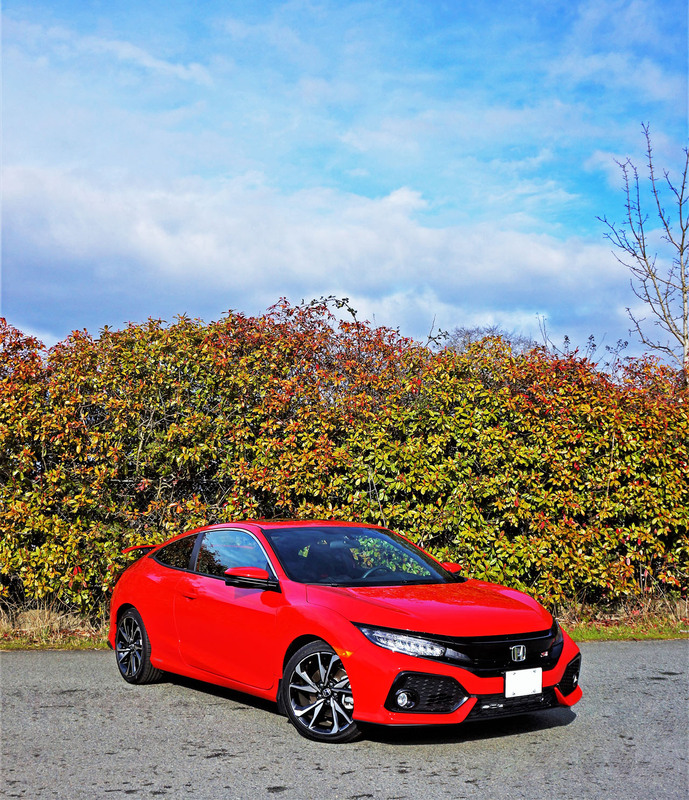 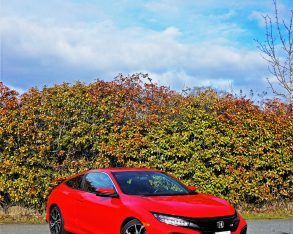 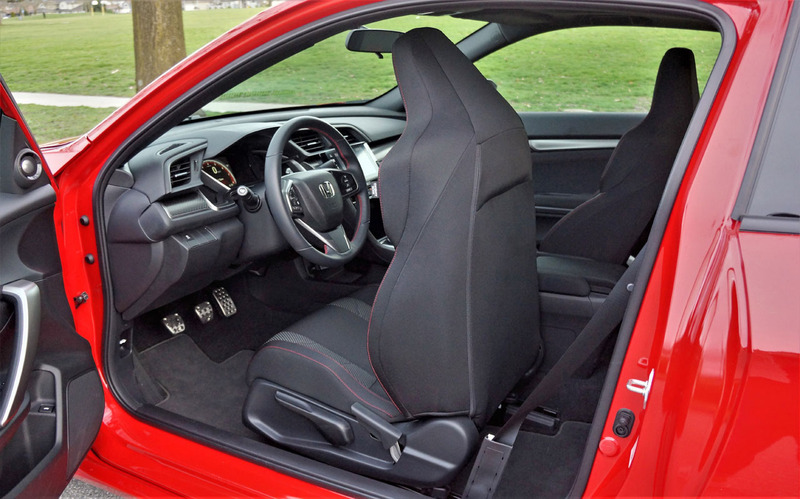 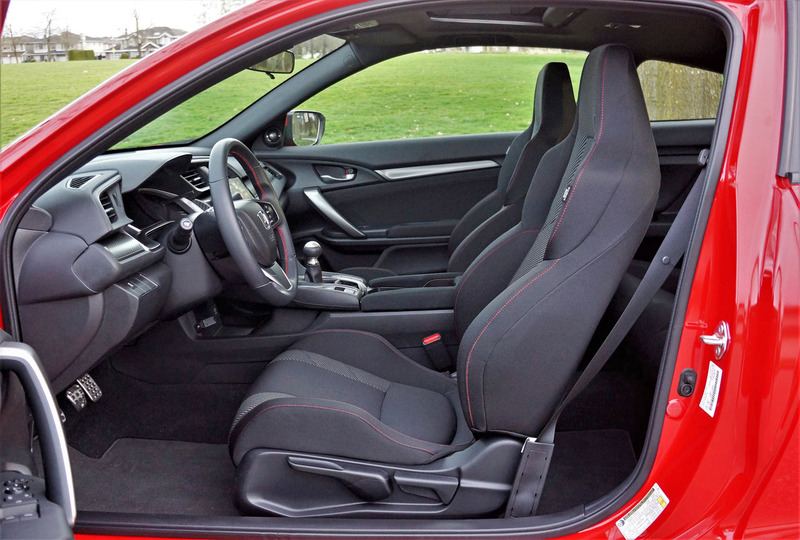 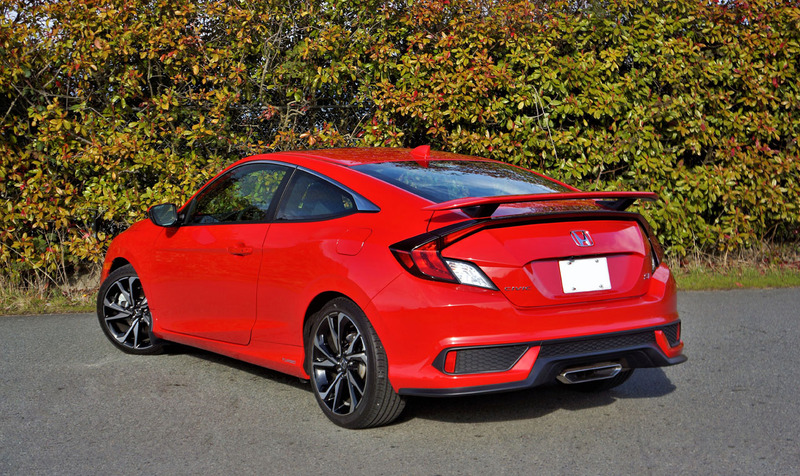 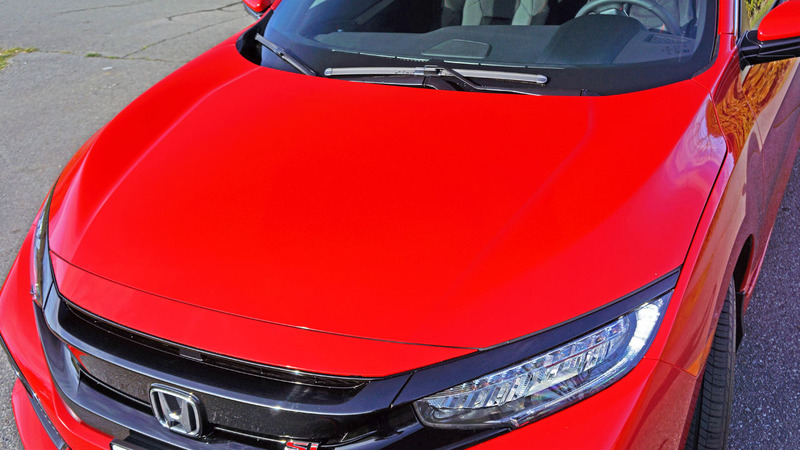 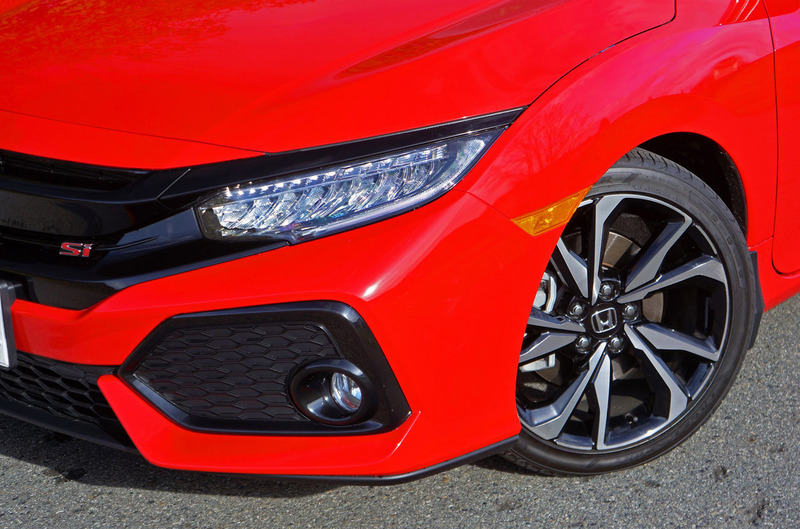 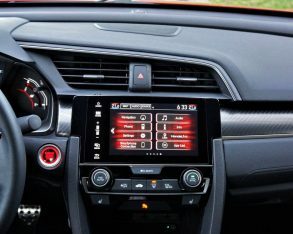 A lot of sport compact competitors have come and gone over the past 30 years, but the Honda Civic Si has continued to thrill its owners with superb performance on and off the track for three decades strong. 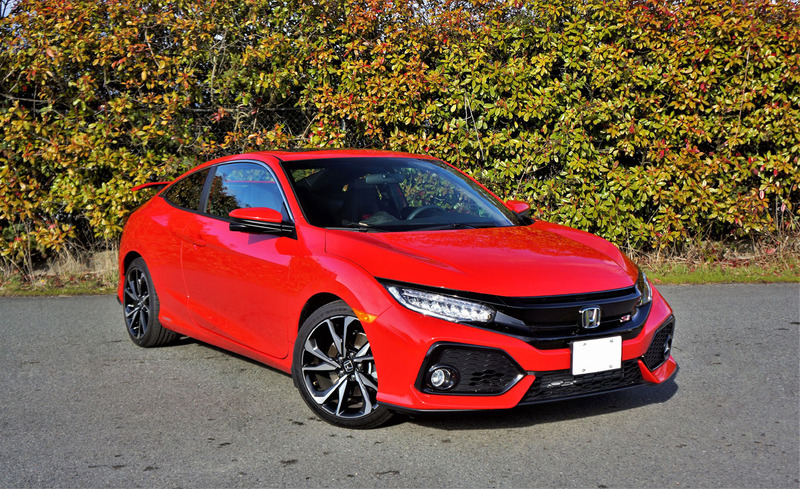 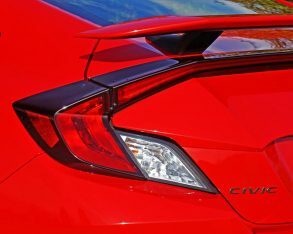 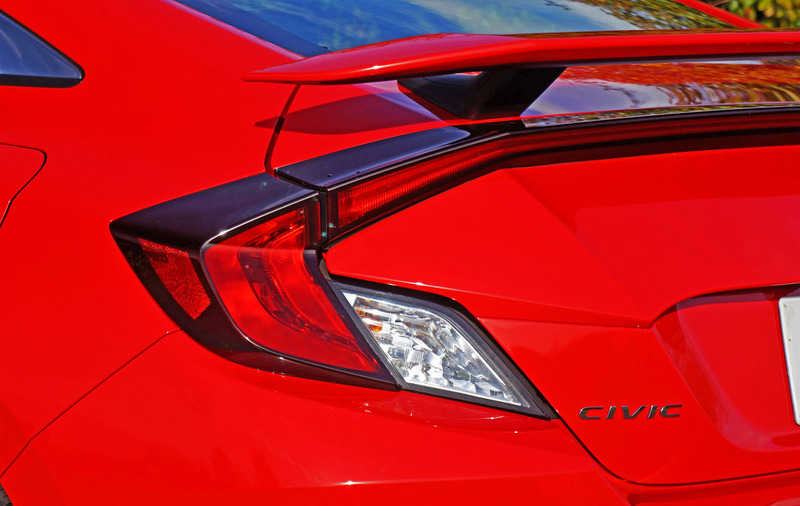 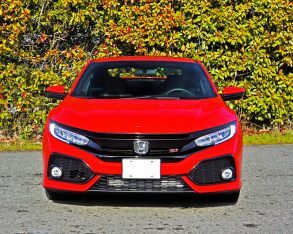 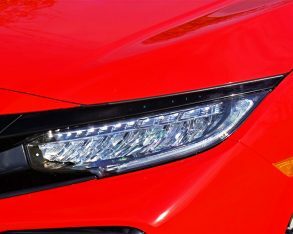 It’s a legendary name, and the latest 2018 Civic Coupe Si, along with its four-door Sedan Si sibling, is totally worthy of carrying the mantle forward.